News and discussions to Dietmar Rudolph's "A Collector's Guide to the Music of Chuck Berry"
If you followed our discussions about the Chuck Berry On Stage (Chess LP-1480) album, you will understand why there is such a huge confusion about the contents and appearance of this album. 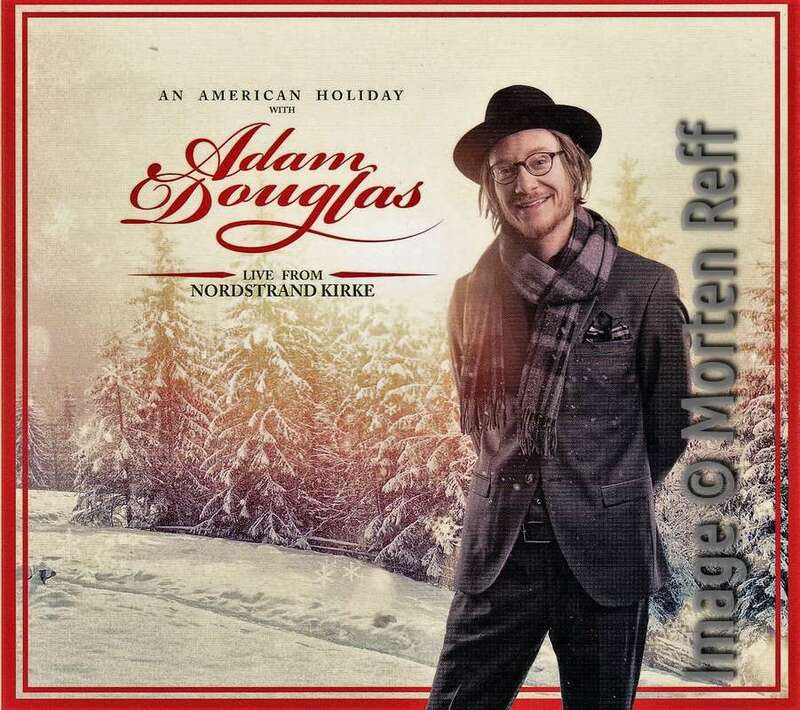 Since December 2014 we have been discussing the cover variants of the album showing that none of the images on the net associated with this album represents the original first cover (except for the ones shown on this site). 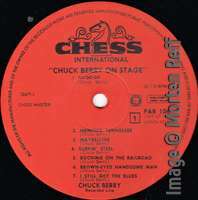 In December 2017 we added a second discussion about Vinyl variants of this album explaining why almost every description of CHESS LP-1480 includes an incorrect track listing. 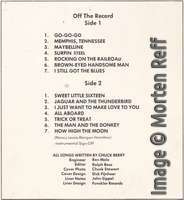 As the original record was supposed to be taken for a true live recording, it didn't had a track listing on the labels and just a non-ordered song list on the back cover. 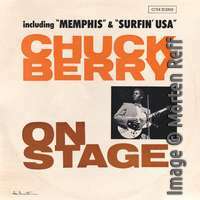 Both the song list and the most common US cover include a song title never used by Berry: "Surfin' USA". 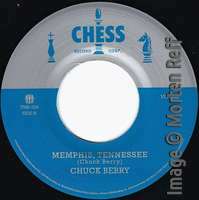 The Chess brothers were trying to generate sales following the Beach Boys' hit record which indeed was a disguised cover version of Berry's "Sweet Little Sixteen". 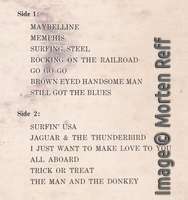 And following the Surf craze they also re-titled an instrumental originally called "Crying Steel" to become known as "Surfing Steel". 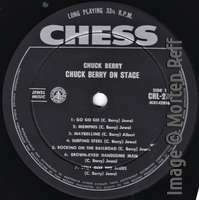 The Australian version of Chuck Berry On Stage was released as CHESS CHL-211 not long after the US version in 1963. The front cover follows the US version closely except for the boxed CHESS in the upper right corner. 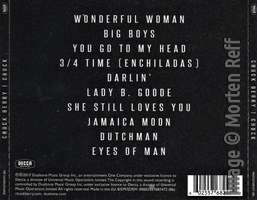 The track listing on the back is a variant of the song list from the US album. It correctly distributes the songs to Side 1 and Side 2 but retains the incorrect sequence and naming. 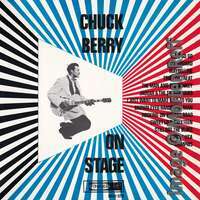 Maybe due to complaints — Hey, I bought Surfin' USA from Chuck Berry but it isn't on the disk! — some time later the company quietly replaced the cover with a slightly corrected version. Now on the front cover "Surfin' USA" became "Maybelline" [sic], and within the track listing "Surfin' USA" became "Sweet Little 16" [sic]. Also the song sequence on Side 1 is now as it is on the record. Since also the Chess logo in the upper right corner changed, this variant may have been released a year or more later. The record itself including the printing on the labels did not change, though. Side 2 still incorrectly lists "Surfin' USA". 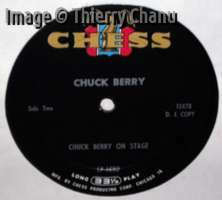 In the Netherlands, Berry's Chess records were released by Artone on their Funckler label. They designed their own cover for the On Stage album. When it came out as Funckler MGCH-9218 in March 1964, "Sweet Little Sixteen" already made it to the front cover correctly. 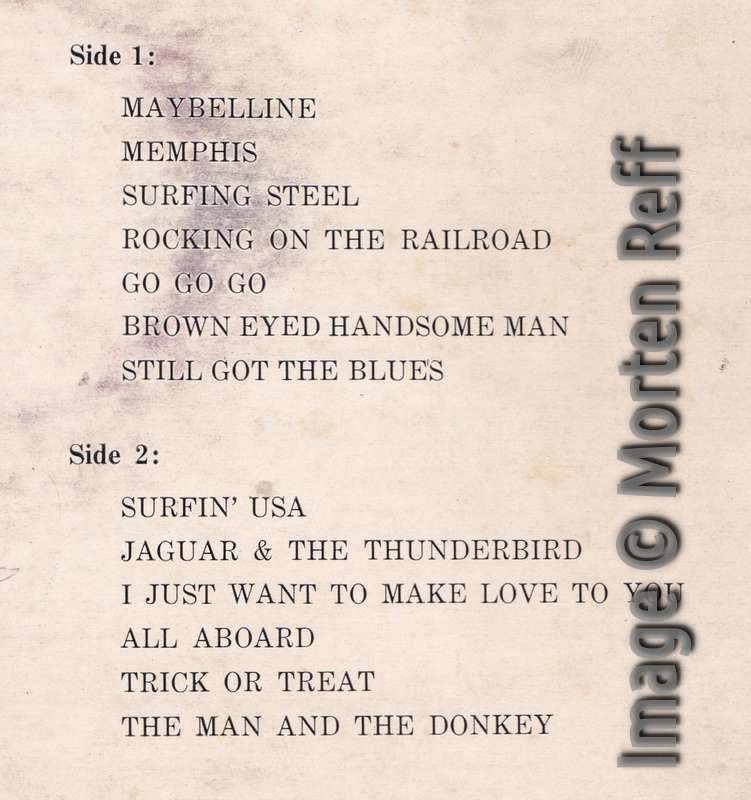 However, "Surfin' USA" is still there, this time as an incorrect title for "Cryin'/Surfing Steel". This error is both on the front cover and in the track listing on the back. Again, some time later Artone re-released the record. 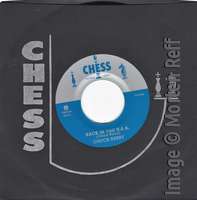 The had now licensed the Chess label name and logo and were releasing the records under the Chess International label. While exchanging the Funckler logo on cover and label, they also corrected the song title. 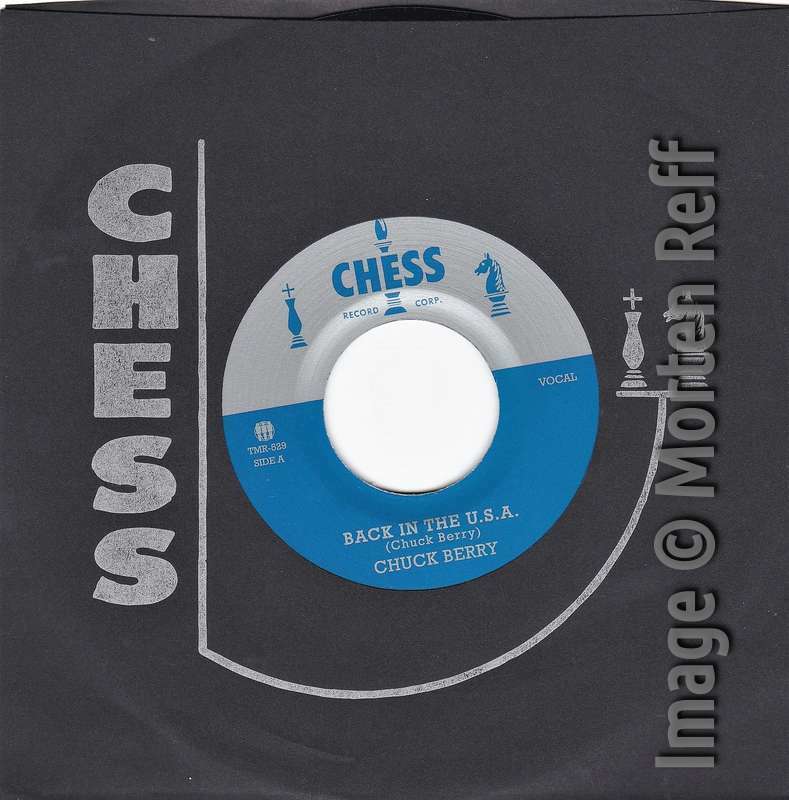 On Chess International PAR-106 "Surfin' USA" was replaced by "Surfin' Steel" (keeping the apostrophe) on both cover and label. One should note that Artone changed covers, labels and even packaging often. Either they printed too few copies or they sold much more than expected. According to Morten's research, the Funckler version also exists with an orange color label. The Chess International version has the album name printed in red on some copies while it's printed in black on others. Finally PAR-106 exists in a standard LP cover (with spine, open at only one side) as well as in the Artone-typical plastic sleeve. Artone tried to establish selling albums in a clear plastic sleeve which could be used for all LPs unchanged. The cover printing was on a folded thin cardboard open at three sides which was easier and cheaper to produce. 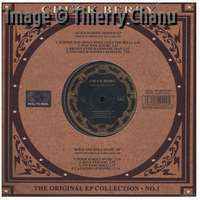 Records by all the Artone labels such as Funckler, Prestige and even CBS International were released this way. This kind of packaging did not prevail, though. Even Artone finally came to use the industry standard glued cover. And no, Morten is not sure that he has all the existing variants. Thanks to Morten for the images and details plus thanks to Arne Wolfswinkel and Frank Jochemsen for background information about the Artone packaging. Stephanie Bennett is a famous film producer having created some of the best rock documentaries. 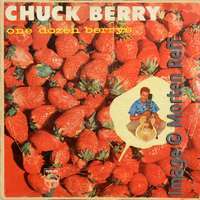 Chuck Berry collectors know her as the producer who brought to us "Hail! Hail! Rock 'n' Roll", the famous concert film and documentary celebrating Berry's 60th birthday. And while Bennett, director Taylor Hackford, and musical director Keith Richards definitely tried to celebrate Berry in this movie, we all know that Berry's cooperation was less than sufficient. To Berry this was just another business project he got paid for. Due to this, production of the movie was more than chaotic. Despite of what ended up in the movie, Berry did not help making it, but instead helped to destroy Hackford's and Richards' work and intentions. Mrs. Bennett says that Berry's passing two years ago brought back all the memories about the creation of this film. While discussing the thirty years old events with their teammates, she decided to write a book about this once-in-a-lifetime experience. Now the book is out, published by Vireo/Rare Bird Books in the U.S. and available through all bookstores. It is called "Johnny B. 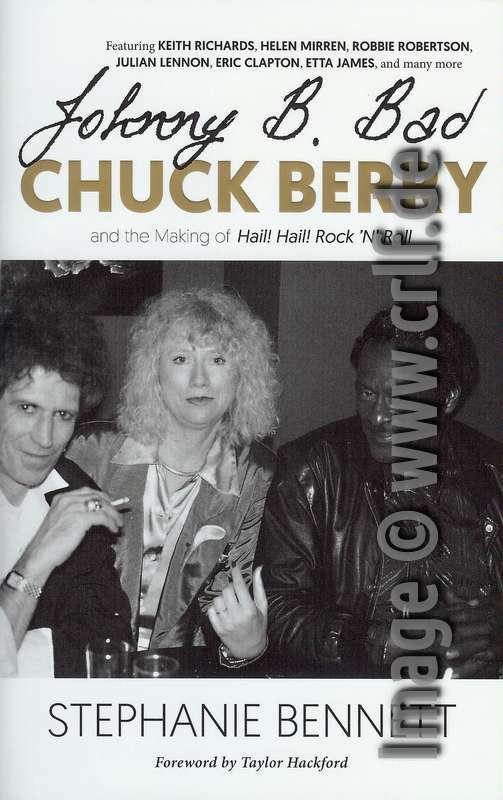 Bad — Chuck Berry and the Making of Hail! Hail! Rock 'n' Roll", 220 pages thick, hardcover bound and including a selection of color photographs. The title page says "written by Stephanie Bennett" while the inner page says "written by Stephanie Bennett with Thomas D. Adelman" who was the line producer of the movie. In fact, the book wasn't written by either. Mrs. Bennett calls her book an 'oral history'. This means it is a collection of quotes of what the team members remember from the movie production. Tom Adelman remembers a lot, so does Stephanie Bennett. But most of the quotes are old. There's a two-page quote by Bruce Springsteen about backing up Berry one time. But this isn't a new quote from an interview done for this book. It is word-for-word in the movie itself. Most of the readers here will own the DVD version of the movie. Most will own the 2006 two-DVD set or even, as recommended here, the four-DVD set containing all the bonus material. And if you own these DVDs, you already know most of the quotes. 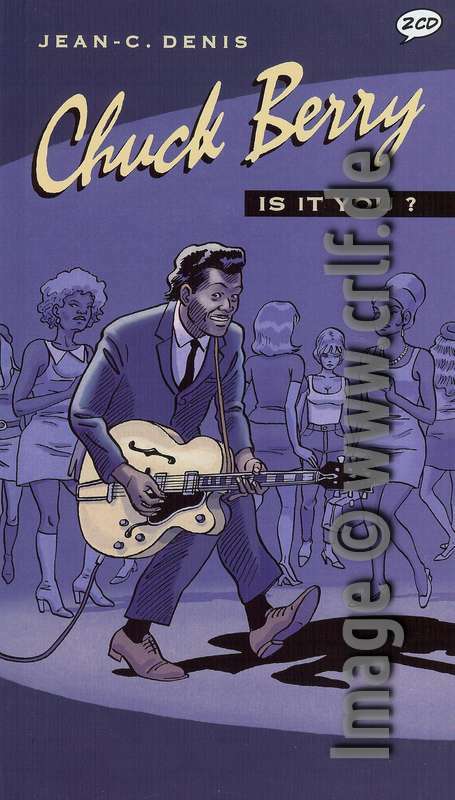 Chapter two is "Chuck Berry, Bo Diddley & Little Richard" and — you guessed it — is a word-for-word transcription of the 90-minute "Witnesses to History #1" which is also on DVD 3. Thus while you have reached page 56 of the book, all you got is that someone read to you the contents of DVD 3. Most stories told and many, many of the other quotes are taken from "The Reluctant Movie Star — The bizarre tales of the making of Hail! Hail! Rock 'n' Roll" which is a one-hour film on DVD 2 of the set. This includes both the Algoa incident and the concert recording memories. Of course there also is original material in the book. 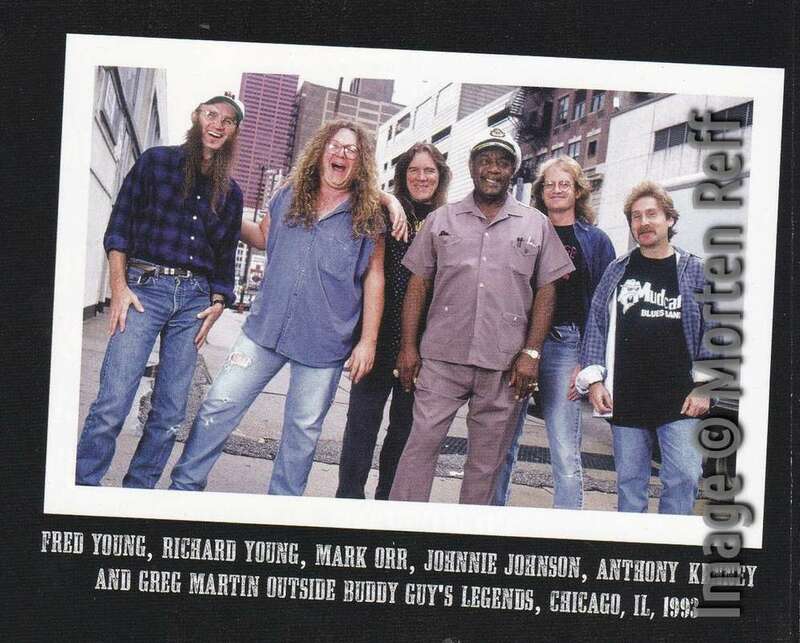 Especially the story about the team checking out Berry's performance at the Chicago Blues Festival (where Richards performed with Berry), the stories about the visit to Richards' home in Jamaica, and the things that happened after the shooting of the movie haven't been told yet, at least not to this detail. Unfortunately the original material is less than half of the book. To those who are purely interested in the musical aspects of Berry's work, there is a single page which is of interest. In between the nice color photo section you'll suddenly find a one-page type-written sheet called "Song Selection". 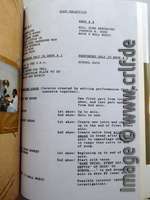 On this page we get an exact description of the songs which made it into the movie. This includes the show number they were taken from. 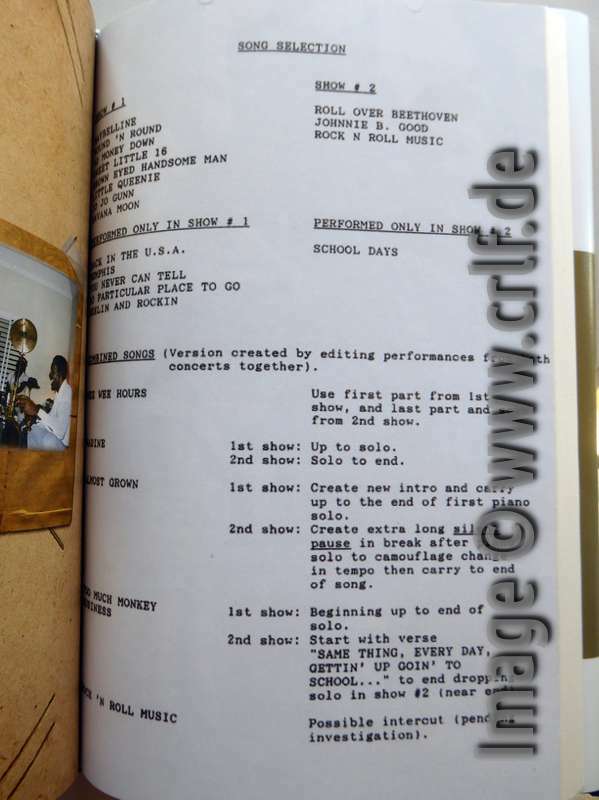 And it includes a list of those "recordings" which have been combined from the performances in show one and show two. Another interesting fact from the book is that the concert recordings have been overdubbed twice. There was one overdub session at Berry Park where Billy Youdelman re-recorded some of the vocals for the movie's audio track. And there was a second overdub session in which Don Wershba re-recorded some of the vocals for the soundtrack album. (This is why we get two different vocal overdubs for "Roll Over Beethoven".) Trying to further fill the missing pieces in our database I asked Mrs. Bennett, Mr. Youdelman, and Mr. Wershba whether they have any notes left telling about the dates and places of the overdubs. All three were so kind to reply to my inquiry but unfortunately Mrs. Bennett has no paperwork regarding these topics. Billy Youdelman cannot remember the exact date but that it was shortly after the concert and that it was only a one or two day job, and not very long. Don Wershba's memories are worth another blog entry due soon. Whether you will want to buy the book depends on your preference of reading vs. watching DVDs. And of course on whether you own the DVDs. It's a nice read, but as said, it's old news. Many of the quotes you will have heard before. Some of the newly told anecdotes, especially by Hackford, Bennett and Adelman, might be worth the price of the book, though. And if you wonder why actress Helen Mirren comments on the story as if she was part of the movie, keep in mind that she is married to Taylor Hackford and accompanied him throughout the making of this film. Do not miss to visit the book's own website johnnybbadbook.com. It contains a lot of interesting photos as well as videos with Hackford and Bennett telling some of the stories. Many thanks to Julia Callahan of Rare Bird Books, Stephanie Bennett, Billy Youdelman, and Don Wershba for answering my additional questions. 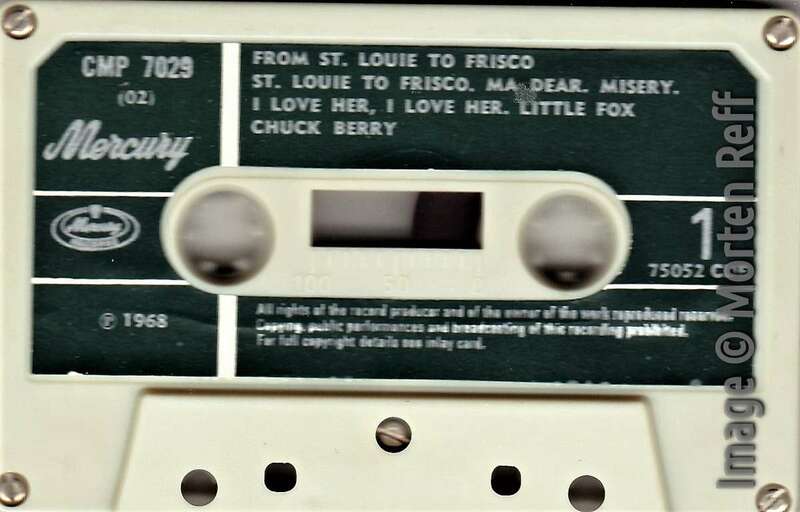 The following post from February 18, 2019 was supposed to demonstrate the difficulties we face while trying to reconstruct Chuck Berry's recording legacy from the few sources we have. And it was supposed to provoke readers to provide further knowledge. Scroll down for additional comments. 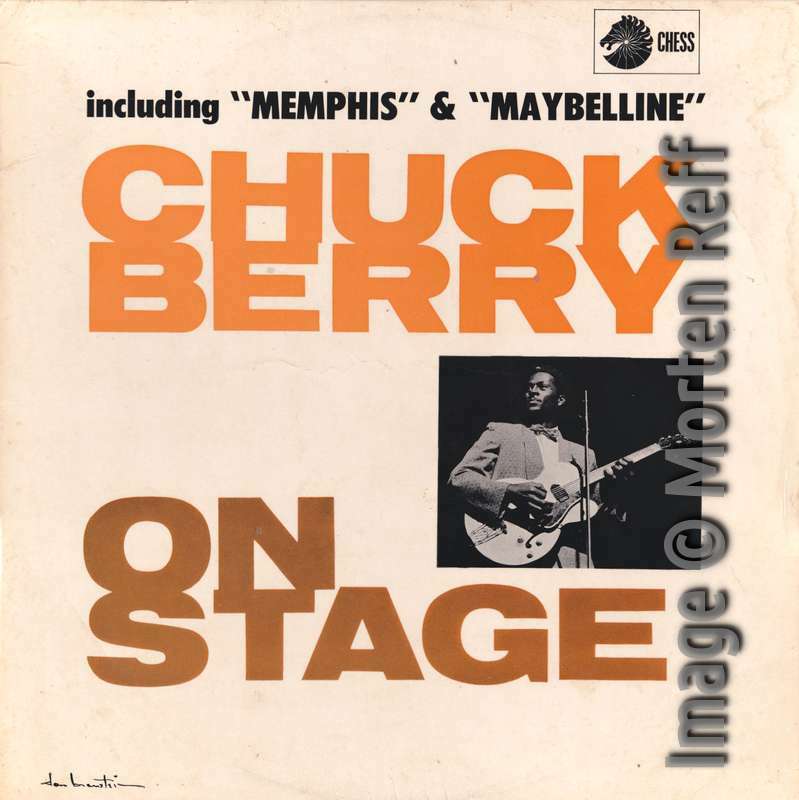 Memphis, Tennessee is one of Berry‘s best-known songs. However, its origins and its recording details are very obscure. There are at least three different sources which talk about different personnel involved in the creation of the recording. This was not to become a hit record in 1958. Which is why its release history is reasonable: it was not released at all after recorded in mid 1958. 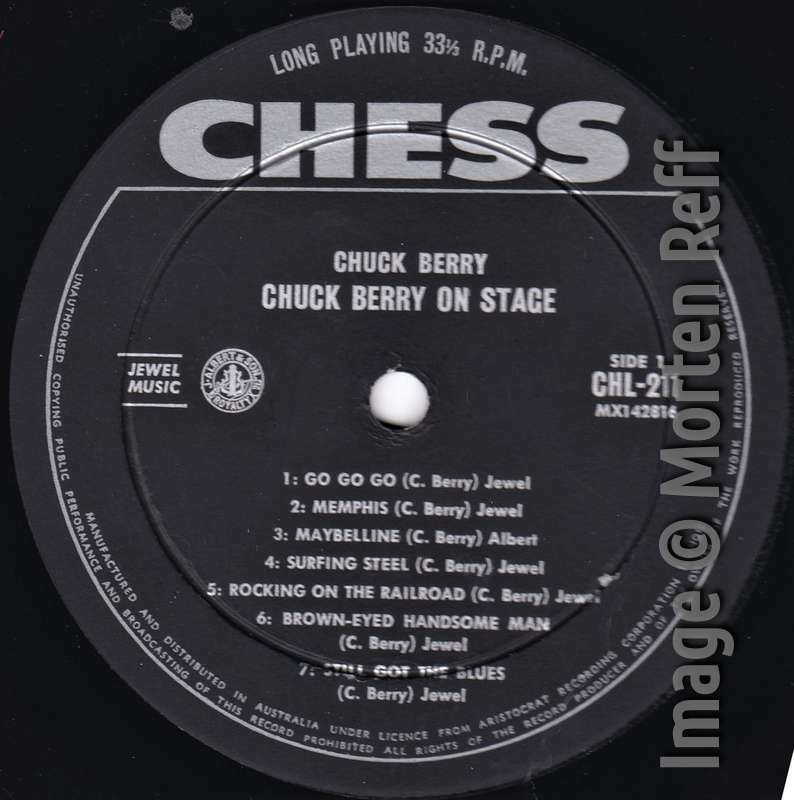 Chess Records hid it on the back of single 1729 (Back in the USA), released in June 1959 concurrently with the movie “Go, Johnny, Go!” (and its promotional soundtrack album) into which it did not fit either. In the movie, Berry performs, well lip-syncs, Memphis all by himself in front of a TV camera. What we can definitely tell is that here we miss instruments playing. There definitely are drums on the recorded track as well as multiple guitars. Trying to find out who played which instrument on Memphis, CHESS master number 9073, we find inconsistent data. According to “The Chess Labels: A Discography” by Michel Ruppli the song was recorded during a September 1958 session in Chicago, with Berry on vocals and guitar, possibly Bo Diddley on second guitar, Johnny Johnson on piano, Willie Dixon on (double) bass and Fred Below on drums. This line-up was repeated in a recent French discography and others. 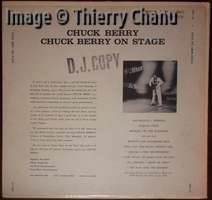 In contrast, a discography printed on the 1972 sleeve of “Chuck Berry’s Golden Decade, Vol. 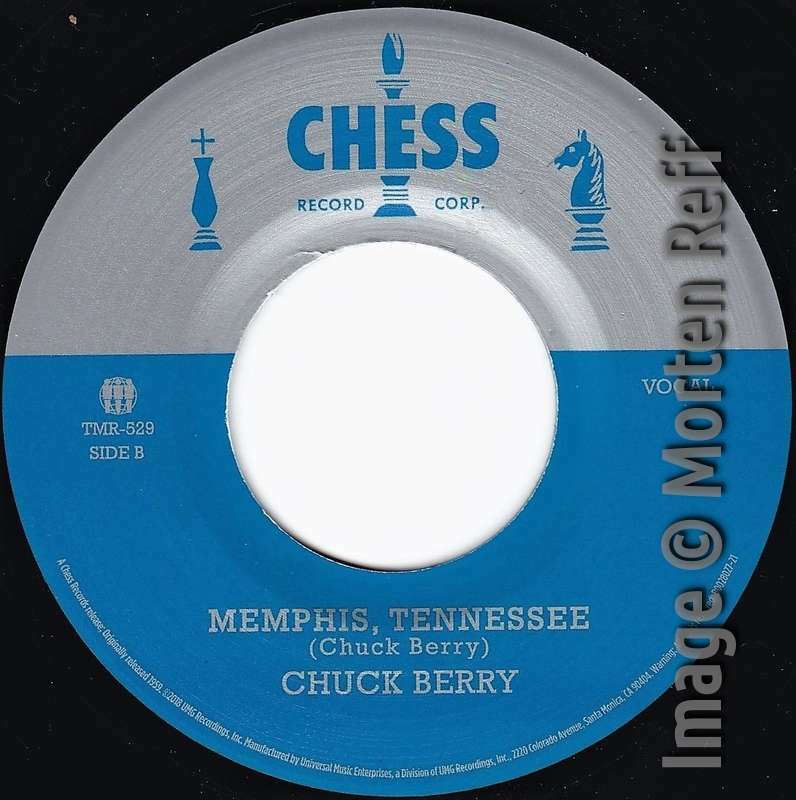 2” states “Memphis recorded by Berry himself and drums added by Chess”. 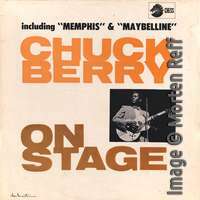 Memphis  was recorded  on a $145 homemade studio in the heat of a muggy July afternoon with a $79 reel-to-reel Sears, Roebuck recorder that had provisions for sound-on-sound recording. I played the guitar and the bass track, and I added the ticky-tick drums that trot along in the background which sound so good to me. I worked over a month on revising the lyric before I took the tape up to Leonard Chess to listen to. He was again pressed for a release since my concerts (driving on the road then) kept me from the recording studio for long periods. 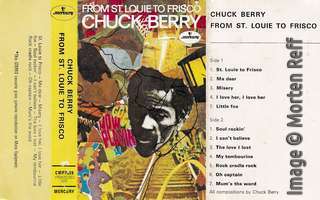 Based on Berry’s recollection, Fred lists both Memphis and Jo Jo Gunne (which has the same primitive sounding fidelity) as being recorded in St. Louis, July 1958 when he publishes his book “Long Distance Information” (2001). 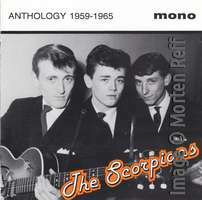 He changes his mind when thirteen years later the details of a September 26, 1958 recording contract become available. Both songs are listed on the contract, which also reports that the musicians present at the session are Berry (vocals, guitar), Otis Spann (piano), Willie Dixon (double bass), and Jasper Thomas (drums). Placing the songs (back) in the session, the matrix numbers allocated to the songs now run consecutively, so Fred concludes that Berry must have confused a demo recording of Memphis with the studio cut. 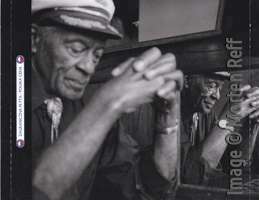 However, it’s still possible Berry’s recollection is actually correct and he recorded the master of Memphis – and Jo Jo Gunne – in his home studio. First of all, both songs just feature vocals, guitar, and drums (the bass part on Memphis is actually played on the low strings of a guitar). Why are Spann and Dixon suddenly absent? Of course, it could be an artistic decision not to include piano and bass on those songs, but it still seems a bit odd if they were there during the session. 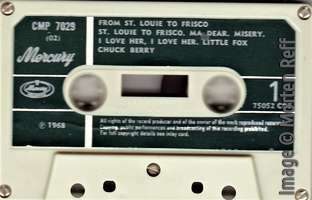 Secondly, Berry writes that he used a “reel-to-reel  recorder that had provisions for sound-on-sound recording” – a technique where layers of sound are placed on top of each other (a famous example being How High the Moon by Les Paul and Mary Ford, recorded in 1951). This would explain why the fidelity of those songs is much lower (loss of clarity, considerately more tape hiss) than Anthony Boy and Sweet Little Rock and Roller, the other tracks recorded at the September 1958 session. And it might be coincidental, but session reels with multiple takes of those two songs still exist, while this isn’t the case for Memphis nor Jo Jo Gunne. However, we know for certain that Berry misremembers one thing: the only $79 recorder available in 1956 and 1958 catalogues of the Sears & Roebuck mail-order company was the Silvertone 7070, which had no way to do sound-on-sound. Perhaps Berry mixed up his receipts and used an AMPEX or Berlant Concertone recorder, which did have provisions for sound-on-sound in 1958. Unfortunately, we probably will never find out what has happened exactly. It is possible that Berry recorded Memphis and Jo Jo Gunne all by himself at home. 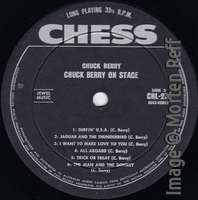 It is also possible that both the basic track and the overdubs were done at the Chess studios. And every combination of home tape and studio overdubs is possible as well. Until we learn better, our database will list Jasper Thomas’ drums and the additional guitars as overdubs with a note that there is an option that Berry recorded all instruments by himself. 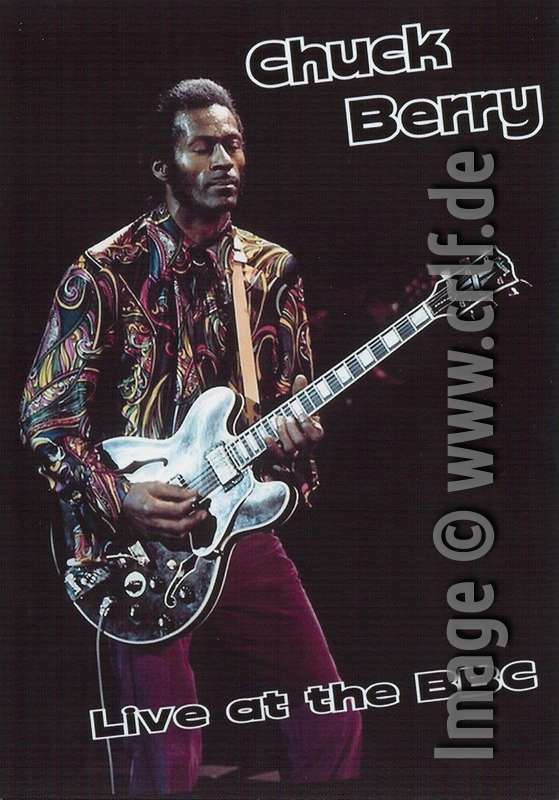 Chuck Berry expert Jean-Pierre Ravelli, who ran a European fan club in the 1960s and 1970s, tells us that he remembers talking to Francine Gillium in August 1970. Fran was Berry's personal secretary and managed his fan clubs and businesses since the 1950s. In her talk with Jean-Pierre, Fran confirmed that 'Memphis, Tennessee' was recorded at Berry's office and that she (Fran) had been playing the drums. Of course we can only speculate whether such a claim is valid and if it is, whether this was the recording which finally made it to the records. 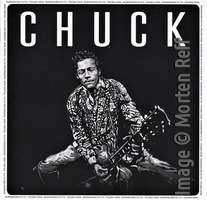 Friday night, German/French TV station ARTE broadcast the new documentary "Chuck Berry" by Jon Brewer. The film originally premiered in Cannes in October last year, but I don't know if it has been shown to the public since. The film is a typical documentary/interview combination. The documentary part is taken from very well known sources, mostly from Taylor Hackford's "Hail! Hail! Rock 'N' Roll" and its DVD bonuses. New interview segments are from many known musicians such as Johnny Rivers, Gene Simmons, Steve Van Zandt, George Thorogood, and Alice Cooper. 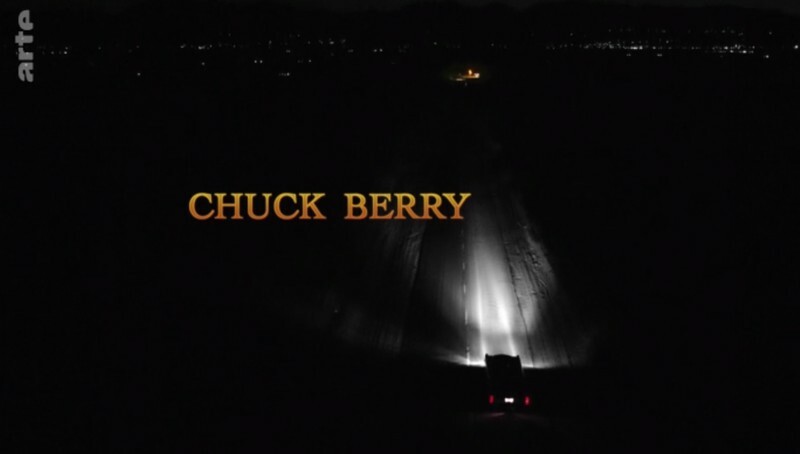 The most interesting segments are interviews with the Berry family and close friends which speak quite frankly (though of course biased) about living and working with Chuck. So we listen to Chuck's wife Themetta, their children Charles, Ingrid, and Melody, the grandsons Charlie and Jahi as well as Jim Marsala, Joe Edwards, and Wayne Schoenberg. If you missed the broadcast, you can view the film on ARTE's website. Note that all the dialogs are dubbed to either German or French. You cannot listen to the original English dialogs. Both videos can be watched until July 2019. 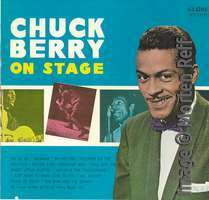 In June of 1972 the British Broadcasting Corporation BBC recorded an 80 minute Chuck Berry concert at the BBC Television Theatre in London. This recording is one of the best Berry performances ever shown on TV. But unfortunately it wasn't available for us to watch again. The original recording was broadcast edited down to 45 minutes. 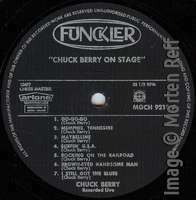 The audio track of this abbreviated show was saved and made it to a Vinyl bootleg called "Six Two Five". For more about this record, see here. In the early 2000s the BBC show was re-transmitted by other TV stations, though now as a 60 minute show with additional songs. Thus we knew there must still exist the original full recording from 1972. Recently we found a DVD on eBay which claimed to contain the complete show. We checked - and yes: This is the original uncut 80 minutes recording of the 1972 show at excellent video and sound quality, obviously directly from the BBC archives. Live at the BBC (ZitRock ZR-DVD-CHB-16-03, US, 2016) contains all the songs which we know from the Six Two Five album. In addition there's School Day, Too Much Monkey Business, Rock and Roll Music, and Promised Land. With Reelin' and Rockin' and My Ding-A-Ling it's not hard to tell why these two songs were omitted from the original BBC broadcast as both are the raunchy versions very similar to the ones recorded four months earlier at the Lanchester Arts Festival. Maybe the BBC would have decided differently if they would have known that both raunchy versions would hit the charts at year's end. While video tape copies of the various international broadcast have been known before, this DVD is of much better quality. And for the first time it contains the instrumental Liverpool Drive of which we didn't have any video recording before. 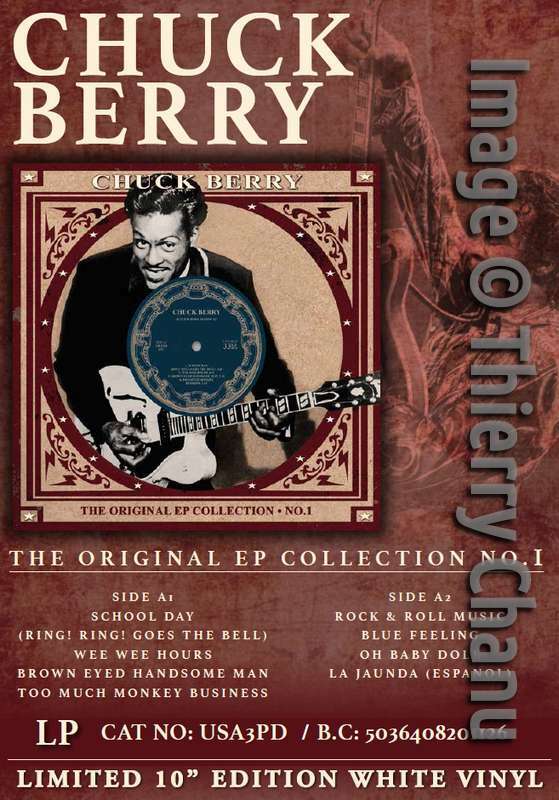 We have added this DVD as an "other notable release" to our Chuck Berry database meaning it's not a record or CD, but contains additional tracks from the same session as the corresponding record or CD. 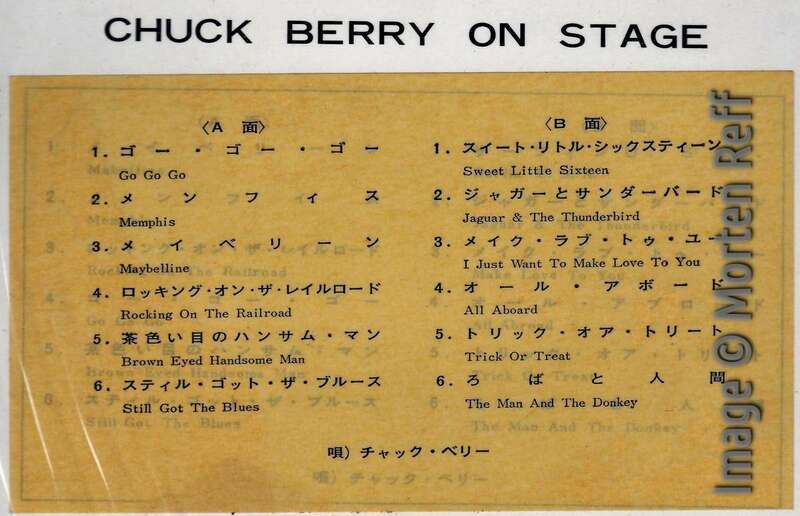 The full session is now at this session page of the Chuck Berry Database. The DVD has been created by ZitRock, though not for commercial sale. The creator of the DVD contacted me in March 2019 to explain the origins of this DVD. Many thanks! The video has been published first on YouTube in April 2016. It's still there: https://www.youtube.com/watch?v=YtrOr3WKmyY. The original poster at YouTube didn't tell anything about the origin of the video, though. ZitRock, an expert on Rolling Stones DVDs, took this video and enhanced/remastered the audio track. The DVD was made available for download from the net. It seems that someone took ZitRock's files to burn and sell the DVD on eBay. 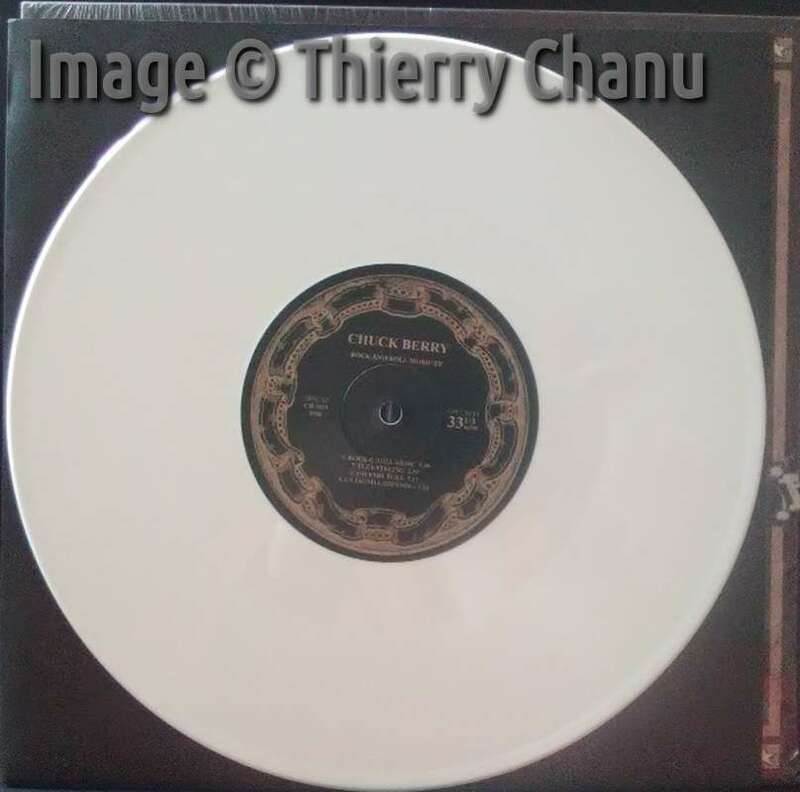 Today: Thierry Chanu about a new 10" LP which claims to repeat original EPs. It comes in a 10" cover and pressed on white vinyl. 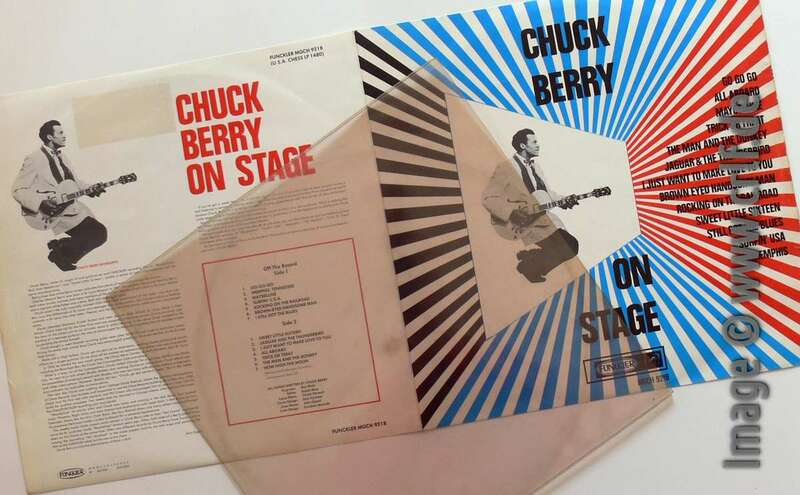 The sleeve has a round cut letting appear both sides of the label, similar design to the old 78rpm record jackets (it would have been nice to shown the original EP covers). Sound is in mono, digitally remastered. 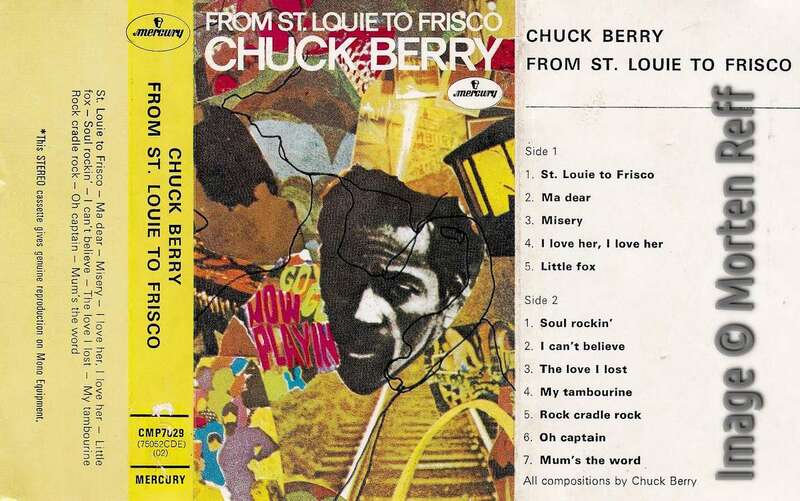 The original idea here is to reissue the first two EPs released in the US by Chess records. 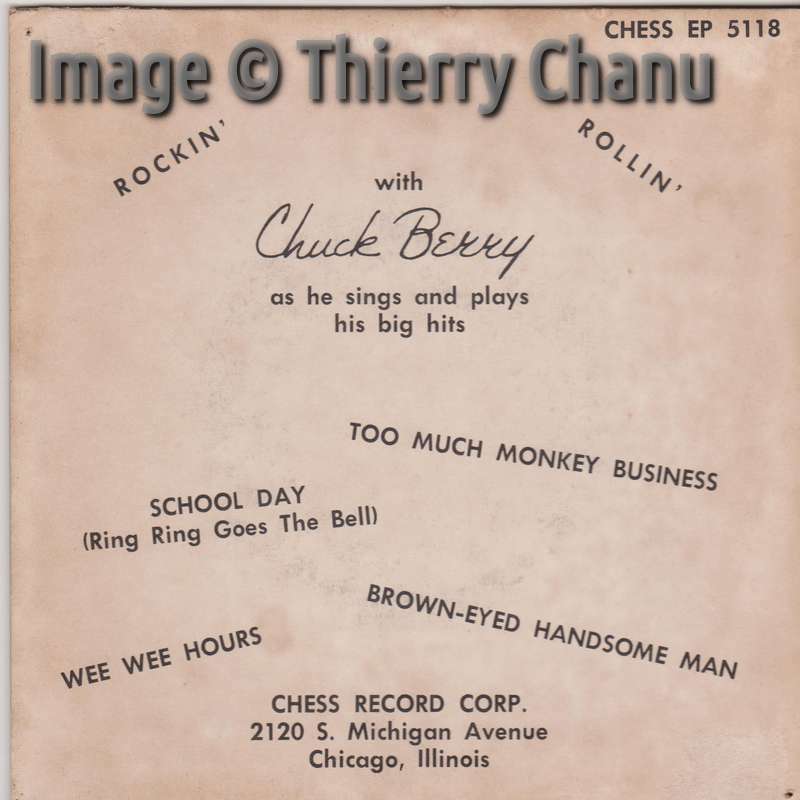 On Side A1 we have the "After School Session" EP, originally released as Chess EP 5118 in May 1957: School Day / Wee Wee Hours / Brown Eyed Handsome Man / Too Much Monkey Business. 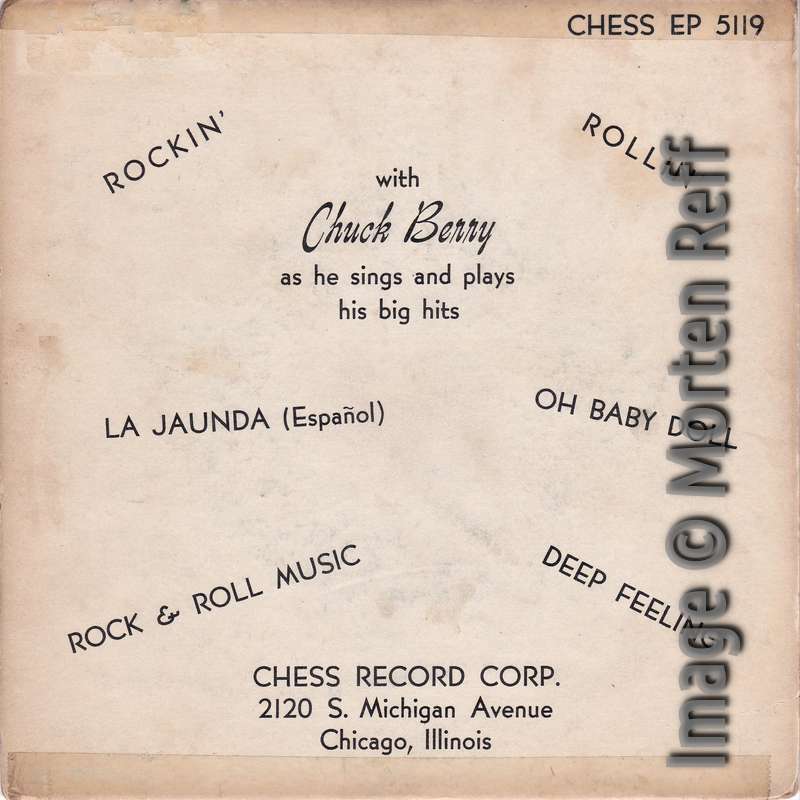 On Side A2 we have the "Rock & Roll Music" EP, originally released as Chess EP 5119 in Nov/Dec 1957 (not 1958 as said on this sleeve and label): Rock And Roll Music / Blue Feeling (instr) / Oh Baby Doll / La Jaunda (español). BUT: instead of "Oh Baby Doll" the record plays "Deep Feeling" (instr) ... strange! 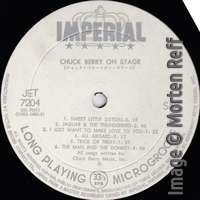 This reminds us of a mistake on the back cover of the original US EP: It says "Deep Feeling" and the record plays "Blue Feeling" as said on the label (see CBID Vol. 1, page 52). Today: Johnny B. Goode was released as a single in March 1958. 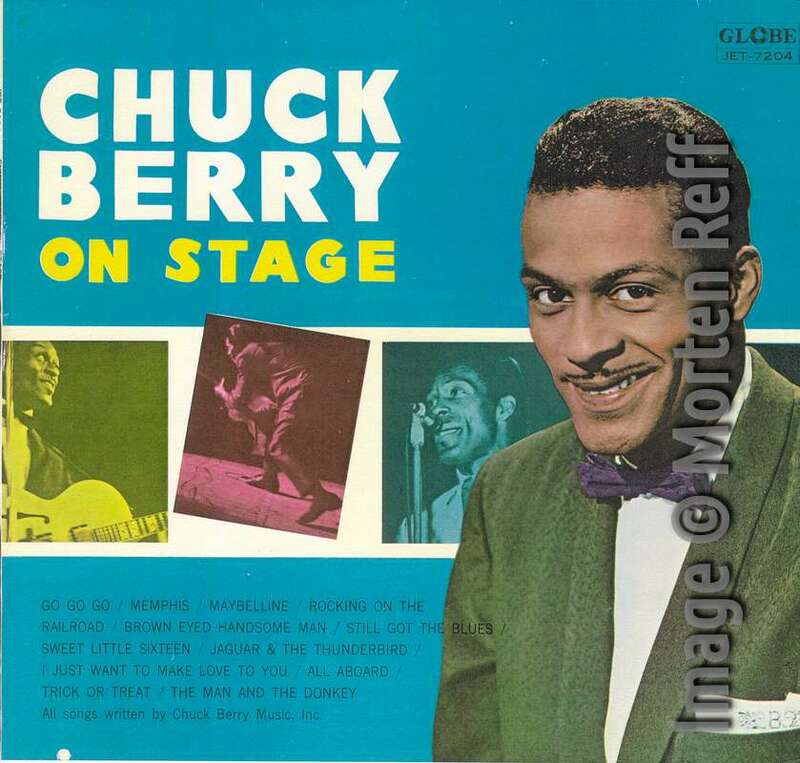 In the US it took until late 1959 when the hit finally appeared on Chuck Berry Is On Top. However, this was not the first LP release of this song. Here's the album to know. 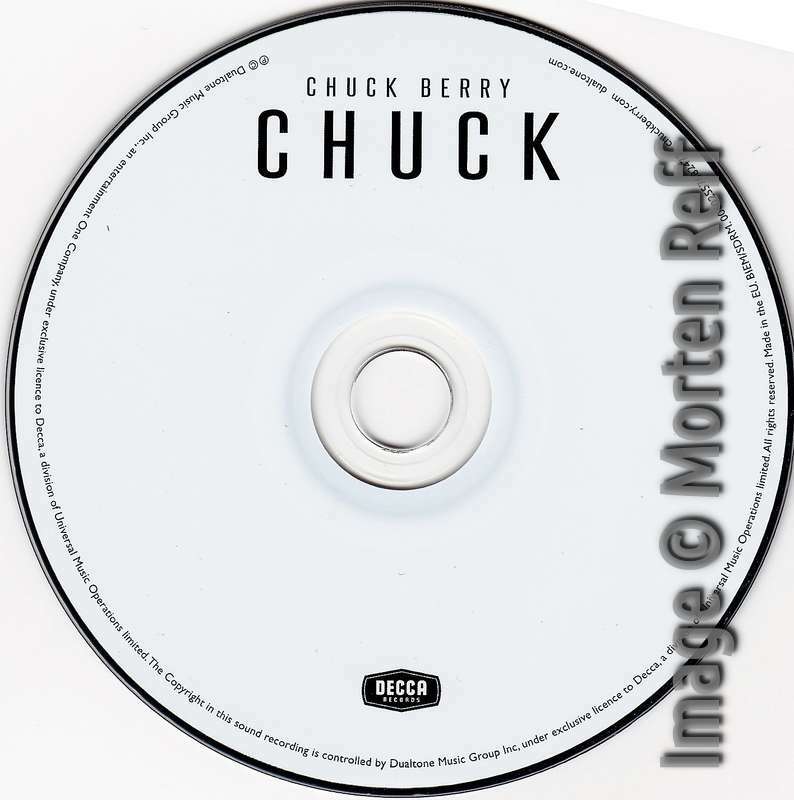 Also we show yet another version of the CHUCK album as an addition to our blog post of November 2017. Sorry folks but there is a very important difference on this Australian release, compared to the US one. They actually changed the dreadful “Low Feeling” with the classic “Johnny B. Goode”. I didn’t see this when doing CBID Vol. 4. But what an intelligent thing to do. Of course Chess should have done exactly the same thing since the song and album came out in the US at the same time, March 1958. The actual album could even have hit the charts. The front cover is the same as the US one but the back is different, just the titles on side 1 and 2 and a survey of other Philips albums (no rock’n’roll though). This means actually that Johnny B. Goode first appeared on an LP in 1958, in Australia. Unfortunately we don’t know for sure when this album came out in 1958. Thanks to Thierry Chanu for making me aware of this fact. 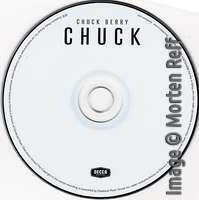 I just came across another issue of the «Chuck» album, namely from Poland. It comes in a CD Jewel case (plastic) with booklet and is on Decca 00602557682472 (86). The front cover is a little bit different because of the white line going all around. It’s printed in very small lettering: ZAGRANICZNA PLYTA – POLSKA CENA, repeated over and over again on the white line. This is also printed on the inside of the back cover visible when you look at the CD itself. I have scanned the front, back, inside cover and label. The CD label says made in the EU but the cat.no is different from the UK one although the label look exactly the same except for the number. The shrink wrap has a red/white/black sticker on it. 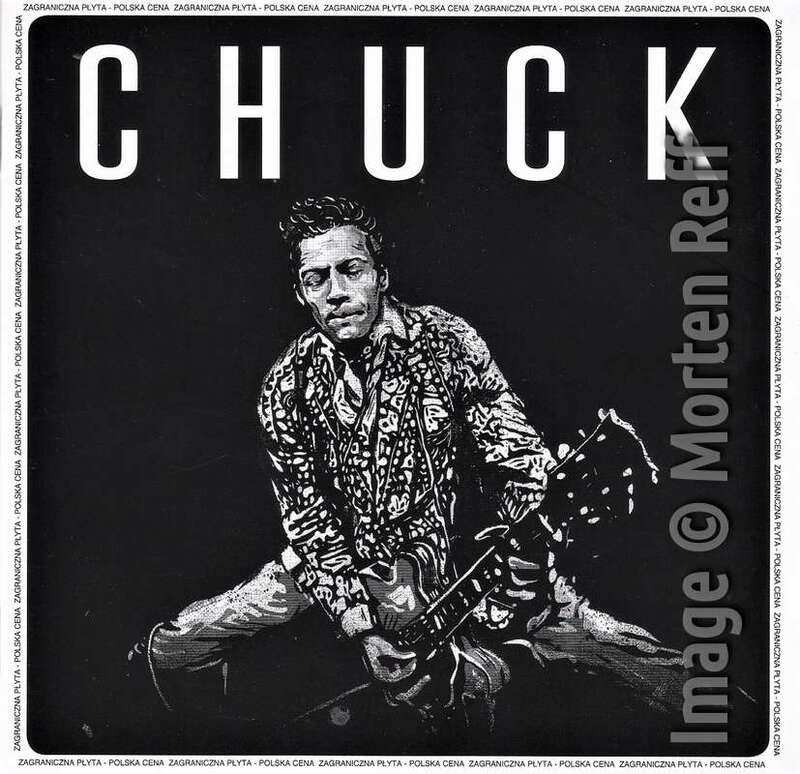 Along with Taylor Hackford's 1986 documentary film celebrating Chuck Berry's 60th birthday MCA released a soundtrack album called Hail! Hail! 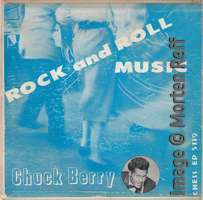 Rock 'n' Roll (MCA LP 6217). It has been known that the contents of the soundtrack album is edited against the original recordings made during the two shows filmed for the movie. It has not been known exactly what kind of edits were done during this post-processing, though. However, given the huge resource of professional and private audience recordings, finding out the edits is possible. It's just a tremendous task. Maybellene - This first track on the soundtrack album combines the Welcome announcement of the second show with that shows first song. The Welcome has been shortened to just 16 seconds. 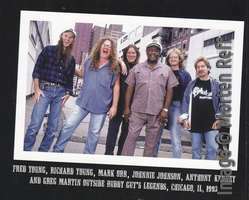 The song's recording has no audible differences against the recording made from the second show which can be found for instance on the Crying Steel bootleg. The mix on the soundtrack album uses the exact same background track as the recording made from the second show which can be found for instance on the Crying Steel bootleg. It has a completely new vocal track, though. Thus MCA removed Berry's singing from the original recording and had him re-sing the vocals following the original track exactly. Around And Around - The musical background of this second track, which is not included in the film at all, is the one recorded during the first show as can be heard from a private audience tape. Berry's main vocal part is not, though. There are notable differences in pronunciation and emphasis. This again proves the theory that some tracks have been overdubbed in a recording studio some time after the show took place. Sweet Little Sixteen - This third track is from the first show as well. As the sound quality of the audience tape is fairly bad, there are no differences between the soundtrack album, the film, and the original recording which could be easily spotted. Brown Eyed Handsome Man - Robert Cray's solo number again is from the first show and has no notable changes over the original recording. Memphis, Tennessee - The same holds for this fifth track: no difference against the poor audience tape of the first show. Too Much Monkey Business - The audience tape of the first show only holds the first two minutes of this recording. Therefore there's no definitive result, but at least these two minutes are the same on the audience tape and the soundtrack album. Back In The U.S.A. - Since Linda Ronstadt didn't show up on the second show at all, that one is easy to solve. The recording is from the first show and there seem to be no later overdubs or edits. Wee Wee Hours - Quite the contrary when it comes to Eric Clapton's solo number. This is neither the recording from the first show nor the one from the second show. Instead careful listening reveals that the track on the soundtrack album as well as its visual counterpart in the film are a combination of both. The first three minutes are taken from the first show. The complete recording is available on a Japanese bootleg. The remaining two-and-a-half minutes are taken from the second show. Here the full recording can be found on the Crying Steel CD. Johnny B. Goode - Julian Lennon's contribution on the soundtrack album has been taken from the second show. One should note that this track is about 30 seconds longer on the soundtrack album as it is in the film itself. The lengthy guitar solo has been shortened in the video. Little Queenie - The same holds for this tenth track. Again the soundtrack album version is about ten seconds longer than the corresponding film segment. It's not quite clear whether the film version has been shortened or the soundtrack version lengthened as the audience tape we could compare it to misses part of this song. As the soundtrack album has a few extra instrumental bars right after the guitar introduction, it's likely that the film version was shortened. 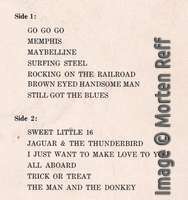 Rock And Roll Music - Etta James' performance has also been edited against the original recording which can be heard on the Crying Steel CD. The version on the soundtrack album is a bit shorter than the recording from the second show, and the version in the film is even shorter. Roll Over Beethoven - The last live track on the soundtrack album has been recorded in the second show as well. Comparing the album version to the rough original from the Crying Steel CD, you again hear two different vocal tracks. As with Maybellene, the original live vocals were removed and replaced with a studio recording. Again the film version has been cut a little making it 17 seconds shorter than on the album and tapes. Interestingly, the film version also has the vocal track overwritten, though differently. This means that MCA had Berry re-sing twice to both the original recording (for the soundtrack album) and to the edited shorter version (for the film). I'm Through With Love - There are no audible differences between the versions of this rehearsal to be heard in the film and on the soundtrack album. The version of this rehearsal on the soundtrack album starts with a small snippet of Berry and Johnson performing "The Frim Fram Sauce", originally known from Nat Cole. The version in the film has a slightly longer introduction instead. School Day - The finale was only filmed at the end of the second show. It is much shorter in the film than on the audience tape, and even shorter on the Crying Steel bootleg. No Particular Place To Go - The performance shown in the film is on neither of the audience tapes and bootlegs. As there is a (different) recording of this song on the tape of show 1, we suspect this is from an unknown part of show 2. Nadine - While the audience tapes contain several versions of this song, the performance shown in the film is neither the original recording from the show 1 tapes nor from the show 2 tapes. Thus it was either filmed in a segment of the show not preserved on audience tapes, or it is a heavily modified version cut from multiple performances. Many thanks to Claude [and James] for all the work spent and for sharing his results with us. I have edited the section of the main site which covers the birthday concerts accordingly. There’s lot of versions of Johnny B. Goode on the net but many of them are for download only. I am glad that I am not doing the books now (especially Vol. 3) as there would have been a complete mess finding out if the actual songs are available on any CDs. I also found a duo calling themselves Johnny B. Goode (yes) and a girl quartet named The Maybellene’s, both seem to be from the US. 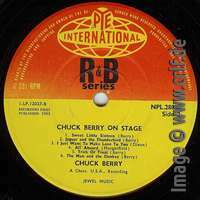 Note: “Back In The USA” by Starbyrd we will have to place in the NO Chuck section, it’s not Berry’s! Also, “Run Rudolph Run” by Chuck is featured in many films, as we know. A more recent movie from 2015 titled “A Christmas Melody” has this played when the family is driving from one place to another. Cast Lacey Nicole Chabert and Brennan Elliott. Directed by Mariah Carey who also has a role in this movie. Donald Jay Fagen from New Jersey, born in 1948, is a singer and keybord player and probably best known for being a co-founder of the 1970s pop-rock/jazz band Steely Dan. Interesting to see that he covers an obscure Berry rocker. He does a great job of it, and you can even find a performance on You Tube. Born in the USA (Oklahoma), but now living in Norway (Harestua . Hadeland). Born in 1981. He’s a very versatile artist performing rock’n’roll/soul/blues type of music, and released his debut album in 2015, “I May Never Learn”. He competed in the Norwegian TV-show Stjernekamp (=Starfight) in 2017 and won. Recorded live in Nordstrand Kirke, Oslo, Norway. (Kirke = Church) This was also a TV-programme. This version of the Berry classic doesn’t run so much and the guitar solo is more 60s/70s lacking the most. Country singer/songwriter , born 1961 in a small town just outside of Toronto. Label out of Paris, Tennessee. Again interesting to see a double sided Berry cover 45. 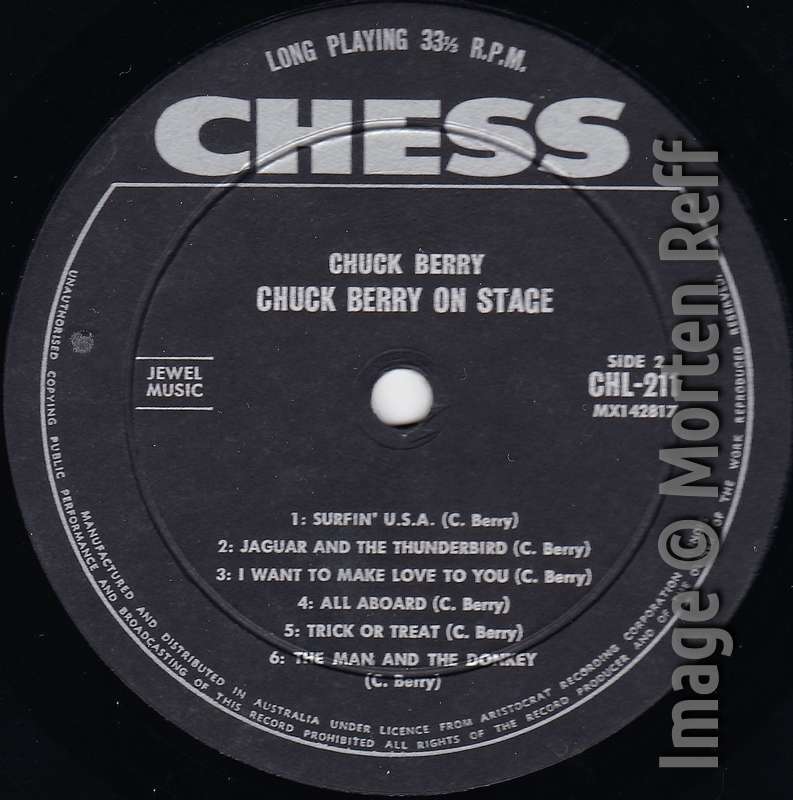 There’s no year printed on the label, but because of the mistitle of “Let It Rock” it’s probably taken from the Berry “On Stage” Chess LP from August ’63. I haven’t heard it but it should be interesting to hear if they by any chance used the new arrangement of “Brown Eyed Handsome Man” which was also included on the “On Stage” album. See Volume 3, page 1305 for biographical info. Recorded on 19 March 1980 in Cologne, West Germany. This is okay but nothing more, even though he has Ian Stewart with him on piano. Almost 10 minutes, I still feel it doesn’t swing enough. See volume 3, page 1492 for biographical info. When Vol.3 was published I didn’t have this particular CD. I was quite certain that it was the same version and nobody told me that “Guitar Boogie” was actually a Berry cover and not Arthur Smith’s. Anyway, it turns out that the numbers here were recorded in November 1959 and December 1960 respectively. AND the version of “Rockin’ At The Phil” is a totally different take, going much slower and stretched out to almost four minutes. However, it doesn’t have the fire and power of the released fast and shorter version. “Guitar Boogie” is not in the same league, it’s messy and in poorer sound quality. The CD contains 32 tracks, many instrumentals. Alternative pop/rock band formed in 1997 and consisted of Ambrosia Parsley (vocals), Danny McGough (keyboards), Duke McVinnie (guitar). Probably best known for “Goodnight Moon”, a song used in both Dawson’s Creek and Volume 2 of Kill Bill. The band separated officially the same year the album below came out. This is quite okay, but too much noise for me, and the guitarist is no rock’n’roller to say the least. Country singer/songwriter in the traditional style. Son of country singer/songwriter Leona Williams. A solid rendition of this Berry classic, with fiddle, steel and a horn section. 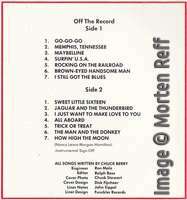 11 tracks, recorded 26-28 January 2003 at Barrick Recording Studio, Glasgow, Kentucky. Johnnie plays piano on all tracks and does vocals on one song marked ◊. 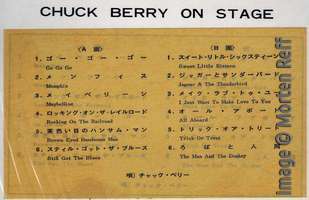 Two of the songs have typical Berry guitar and beat, “Stumblin’, a very goode one, and “Party In Heaven”. For some strange reason this album was never released when Johnnie was alive. They say that the session was actually a spontaneous one and therefore no immediate plans to release an album. Luckily it became a reality in 2015. Three more songs were later featured on an album by the Kentucky Headhunters in 2019 (see below). See also cover versions for extra comments on “Little Queenie”. This album should be in every Berry fan’s collection. It has drive and the piano of Johnnie is spot on. Play It Johnnie…! Johnnie does not play on other tracks. 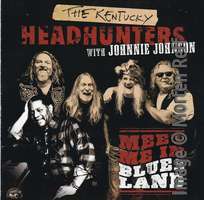 The three tracks were recorded 26-28 January 2003 (see “Meet Me In Bluesland” above). Johnnie really shines on “Rock-N-Roller”. 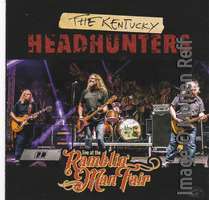 The other 10 tracks on the album were recorded live in 2016 at the Ramblin’ Man Fair in Maidstone, UK (it was part of an European tour). 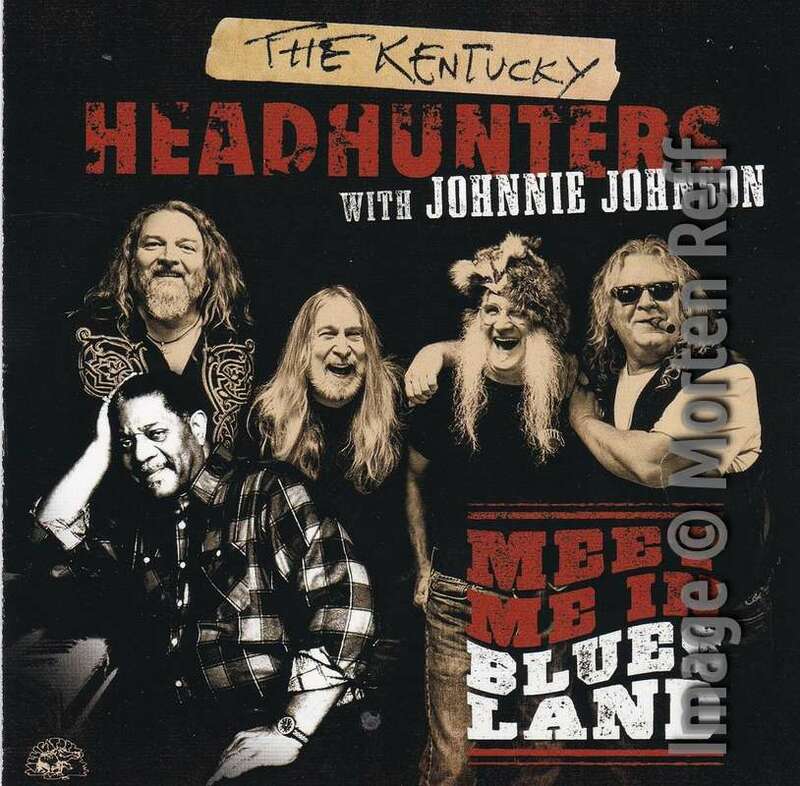 They even do a couple of Johnnie Johnson co-written songs, “Shufflin’ Back To Memphis” and “Walking With The Wolf”. They also do “Stumblin’ “. However, the band sounds different on stage, much more rock and heavier and therefore I feel they lose a lot of their integrity and individual style. 12 tracks. 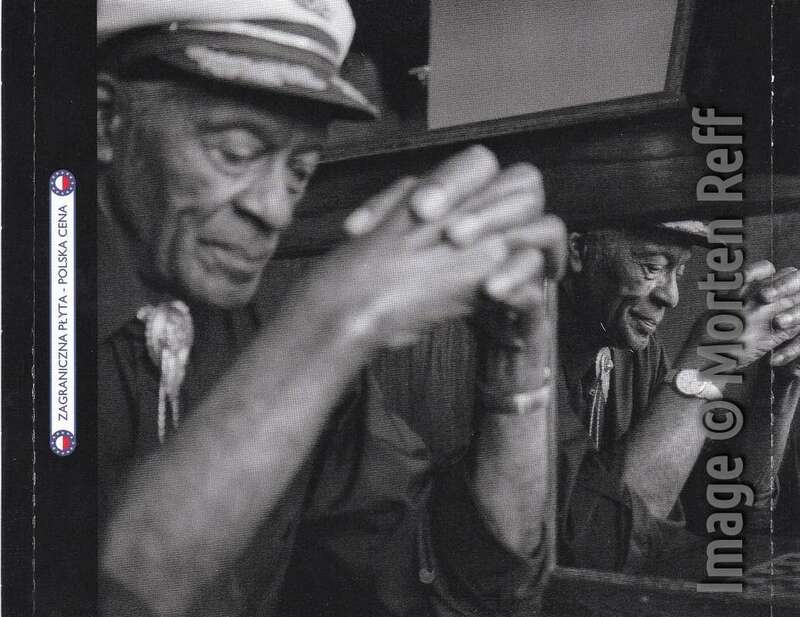 This was recorded at the annual festival in Lugano, Switzerland called Lugano Blues To Bop, 2-5 September 1999, It’s a very long stretched out slow blues, clocking in at 12:46, written by Eddy himself. The other performers on the CD are Ian Siegel, Mike Stresser & Ed Gents, John Crampton, Captain Luke, Judith Emmeline, John Carter Cash a.o. I have tried to check what happened during the festival and who backed Eddy on the show but with no luck. There’s no such info on the album. However he is augmented by both tenor saxophone and organ in addition to bass and drums. This was released on Black Friday November 2018. 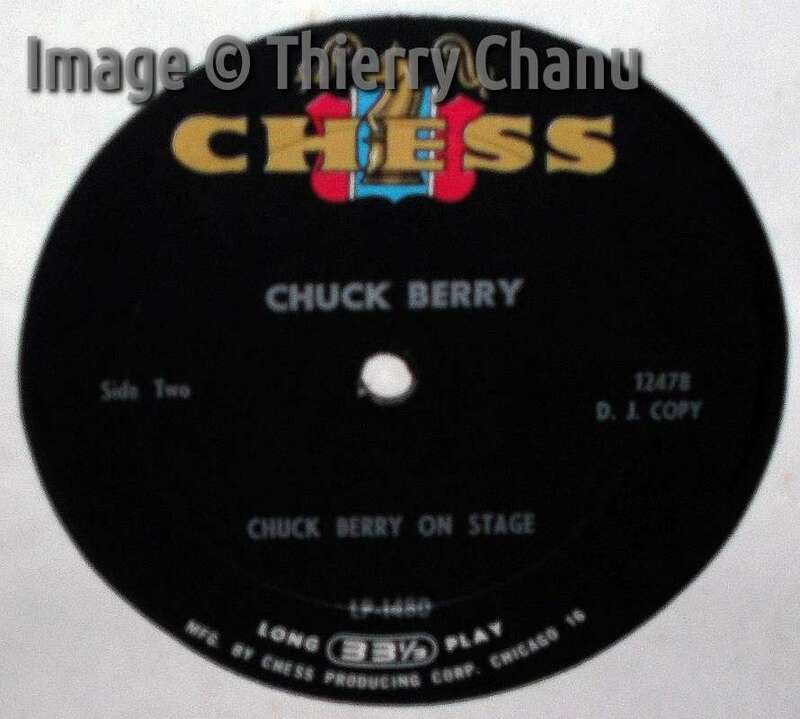 The label is a replica of the Chess silver top, which is kinda silly as the original single came out in 1959 on the blue label with vertical silver Chess logo. It comes in a new designed Chess sleeve, printed in 2017. The sound is very good. Great for old jukeboxes. This is also out in brown vinyl in case you got to have everything (unfortunately I do). 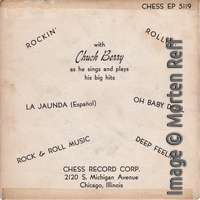 Some time ago this blog had a large article on cover variants of the album Chuck Berry On Stage (Chess LP-1480). I had promised a follow-up on Vinyl variants of this album and because a recent discussion with a reader showed that most information about this album floating around on the Net is incorrect, here it comes. 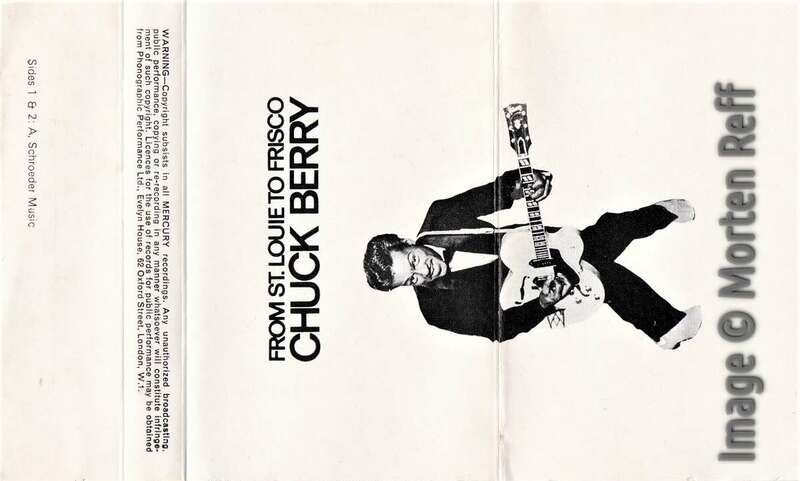 Let‘s start with some background information: From early 1962 to late 1963 Chuck Berry was behind bars. 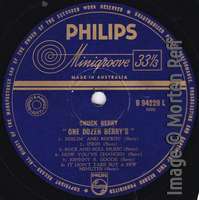 Berry‘s previous records sold poorly due to his trials. During his prison stay he was not allowed to record new material in the studios. His record company CHESS only had a small stock of unreleased recordings. 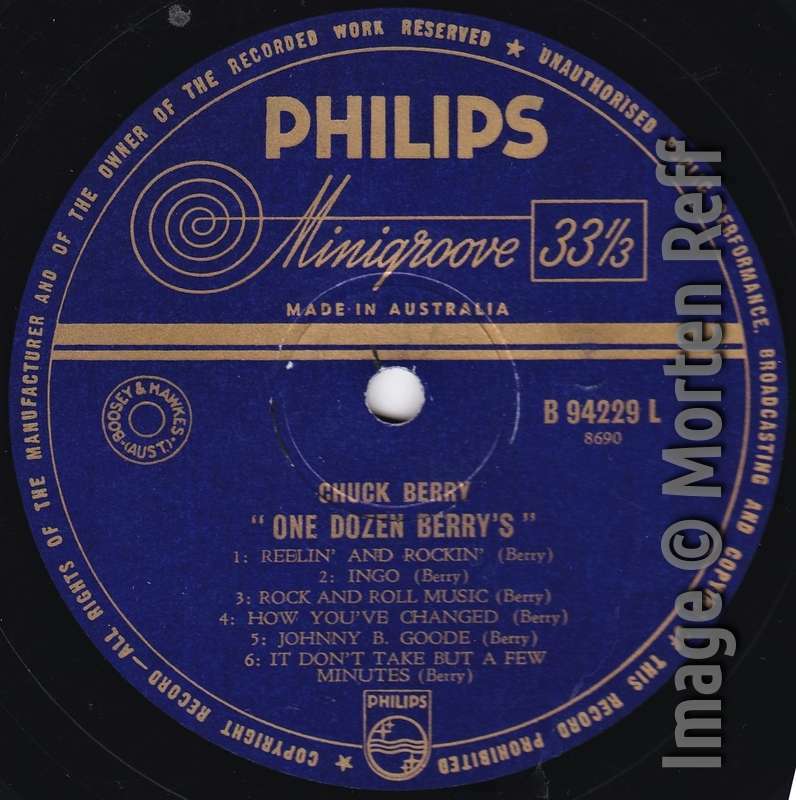 Thus the record company was caught cold when new bands on both sides of the Atlantic became successful by covering Berry material. The Beach Boys' Surfin’ USA was released in March 1963, the Stones’ version of Come On in June. 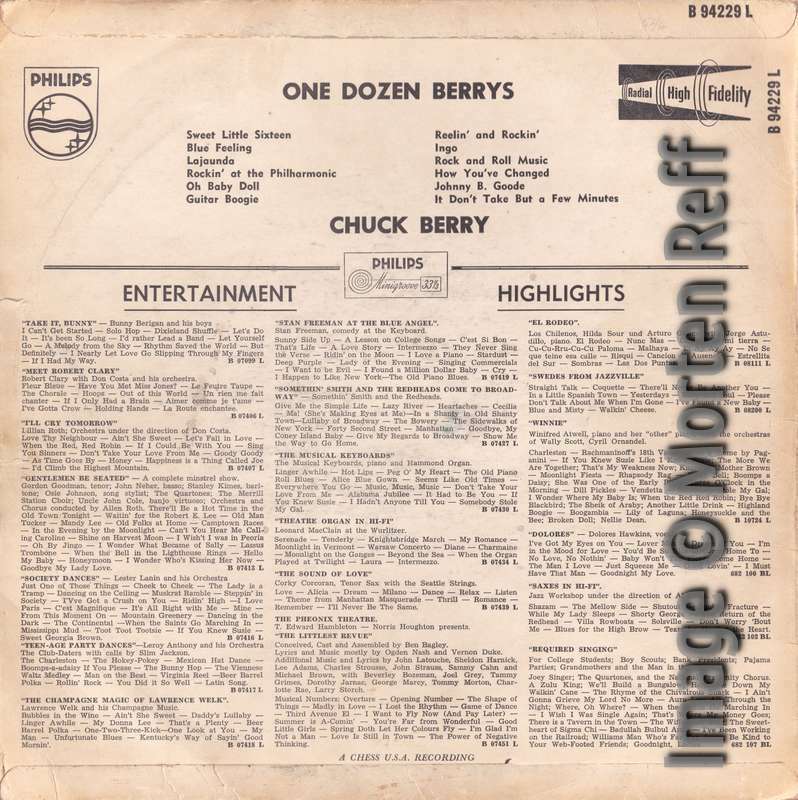 Memphis was a hit by Lonnie Mack and the Beatles had several Berry songs in their repertoire. 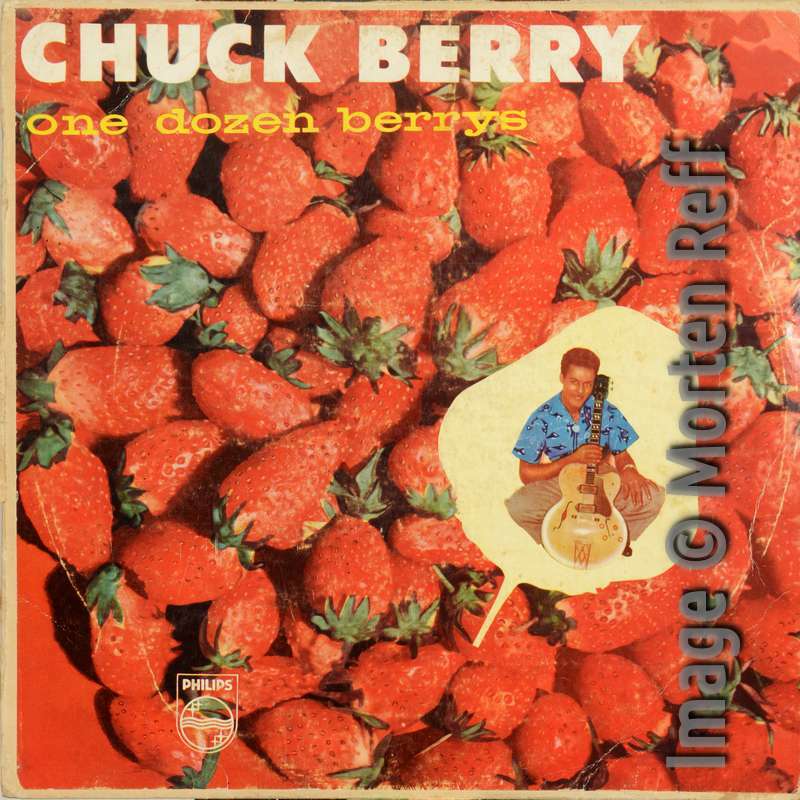 There was an urgent need for a new Berry album, but there was nothing to put on it. The Chess brothers dug through their archives and looked for unreleased material recorded during the previous years. 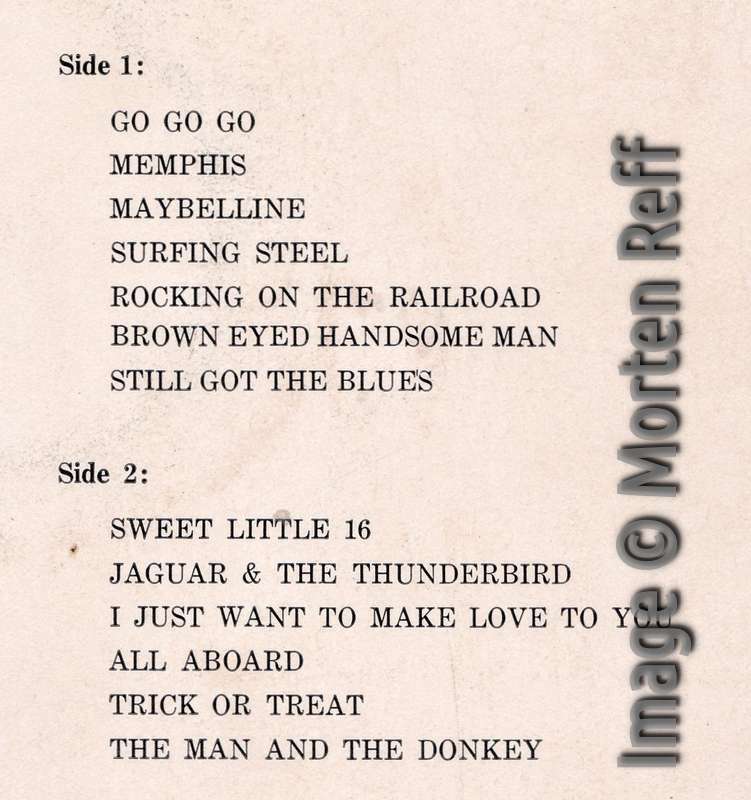 They found four tracks recorded August 1961 which they considered worth for release: Trick or Treat, The Man And The Donkey, All Aboard, and a re-recording of Brown Eyed Handsome Man. 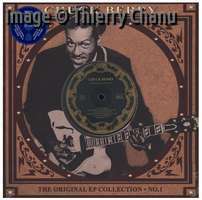 Two recordings were left from an April 1960 session: Crying Steel and I Still Got The Blues. And there was I Just Want To Make Love To You recorded in July 1959. These seven songs were selected. Today we know that there were other unreleased recordings such as House Of Blue Lights, Time Was, 21 Blues, Oh Yeah, Do You Love Me, I’m Just A Lucky So And So, or Adulteen. None was regarded as appropriate by the studio bosses, though. Seven songs are not enough for an album and none of it was good enough for a single. So what to do? The Chess brothers were known for their creativity so they came up with a creative solution. Why not fill the album with older material released some years ago? 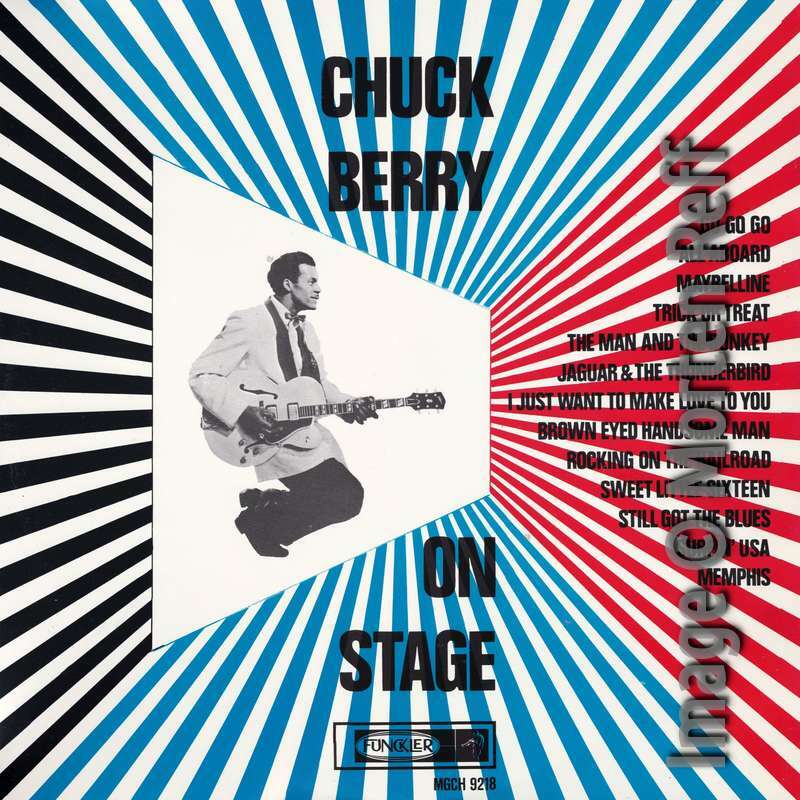 OK, they already did a Greatest Hits album called Chuck Berry Twist in 1962. But why not change the hits a little bit so nobody notices? Let’s use different song titles and let’s add some audience noise to make the album sound like it was recorded live! The editing and engineering work to add the fake applause and Jones’ shouts must have been done by Ron Malo sometime in May 1963. 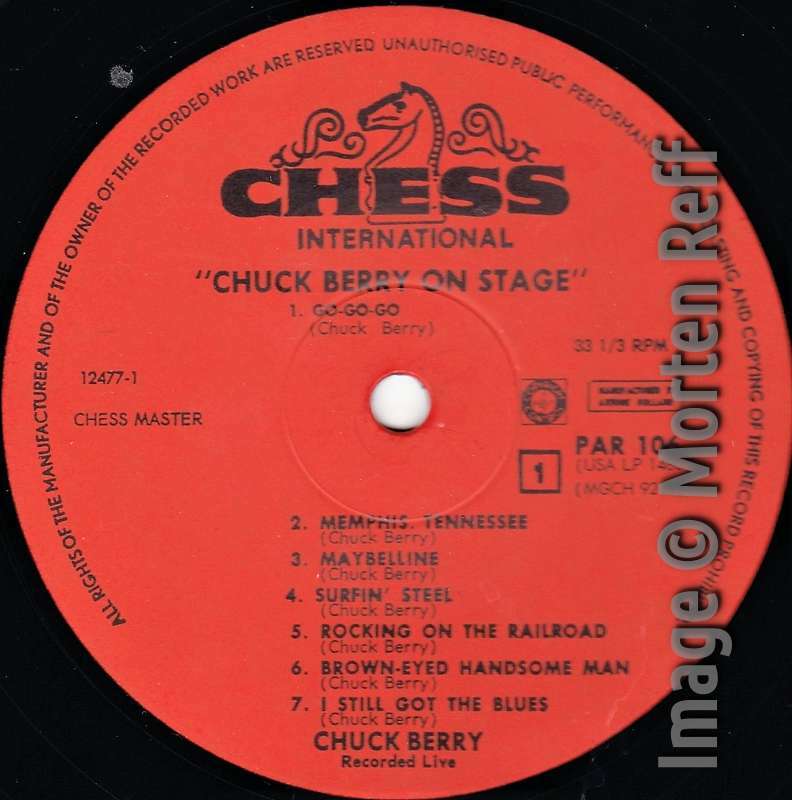 The two album sides were mastered from the resulting tape by the end of May or beginning of June and received the Chess master numbers 12477 (side 1, 16’25”) and 12478 (side 2, 14’14”). 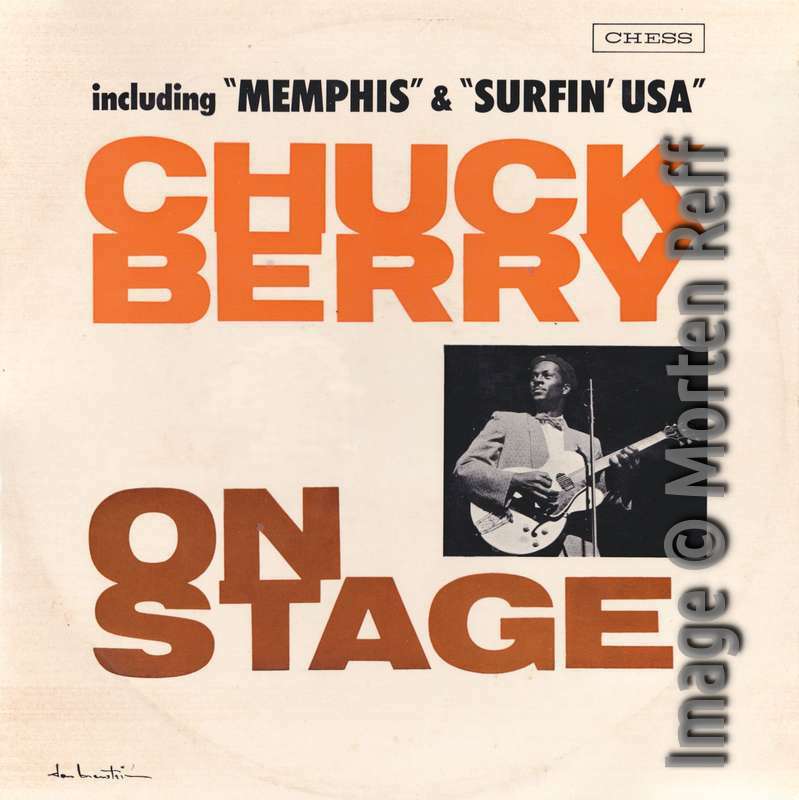 On this LP we present the world famous Chuck Berry in a jumping, in-person theatre appearance with thousands of fans enthusiastically responding to Chuck’s great performance. Any performer will tell you that he prefers to record in front of a live audience. There is nothing like the cheers and applause of an audience to spur a performer on to the heights of his ability and Chuck really gives his all in front of this packed theatre. How High The Moon is a 1940s jazz standard. The version heard here has been recorded during a May 1957 session. Chuck Berry, Willie Dixon, Lafayette Leake and Fred Below probably used it as an instrumental warm-up. 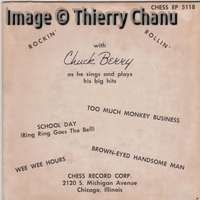 On CHESS LP-1480 the recording is not listed on the cover and used as an instrumental sign-off (as such named on the Dutch albums). Again Rodney Jones was overdubbed to shout “Chuck Berry! 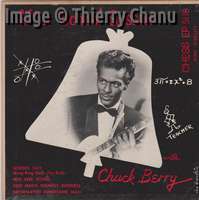 Chuck Berry! 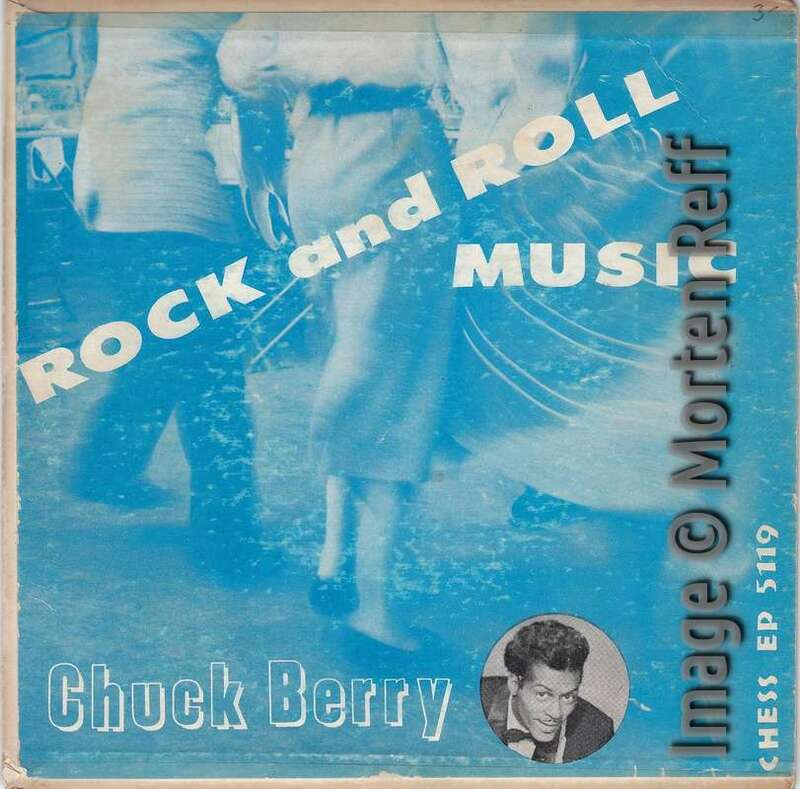 Chuck Berry!” during the first seconds. Shortly thereafter and almost with the first notes from Berry’s guitar, the song fades after 1:03 minutes. 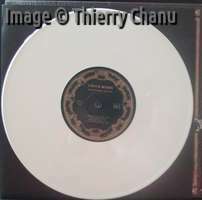 Copies of the original master disk 12477/12478 went to partner companies all over the world and were used to create variants of LP-1480 e.g. in Canada, in Australia, in the Netherlands (note that the Funckler version misprints Surfing Steel as Surfin’ USA), and as re-issues e.g. in Germany (on Bellaphon in 1974) or the only available CD version which was released in Japan (on Universal in 2010). 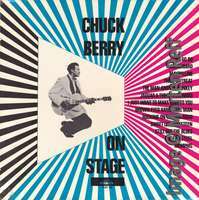 Of interest to record collectors are variations of the Chuck Berry On Stage album which are not exact copies of the original master disks. For some reason the UK version, released in October 1963 on PYE international, has not been produced from the LP-1480 master disks. Instead this album must have been created from the original master tapes. Where Side 2 was faded at 14’14” in the US, the British producers found additional space so the second side of PYE NPL-28027 lasts 14’56” instead. Here How High The Moon is 1’45” in contrast to the 1’03” on the CHESS LP. This longer fade is also on the 1970s US orange/blue re-issue LPS-1480. 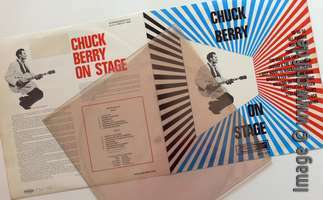 The LPS version has been electronically altered to sound like stereo. To create this ‘enhanced’ variant CHESS/GRT modified the original longer tape and created a new master called 12477_S/12478_S. Likewise the 1964 variant released in East Asia (Japan and Taiwan) was created from the longer master tape since How High The Moon has the longer fade here as well. There is a huge difference, though. The East Asian versions miss the instrumental Surfing Steel completely! The song was removed from the tape giving a smooth transition from Maybellene to Let It Rock. We guarantee that you won’t be able to sit still when you put this album on your turntable and hear Chuck Berry’s versions of Maybelline, Surfin’ USA, Memphis, All Aboard, Trick or Treat and seven other numbers. So the Japanese took this literally and reduced the thirteen track album to twelve numbers. Note aside: The British could count and changed the word seven to eight on the PYE release. Another interesting aspect of the Japanese release is the corrected track listing on the back cover. 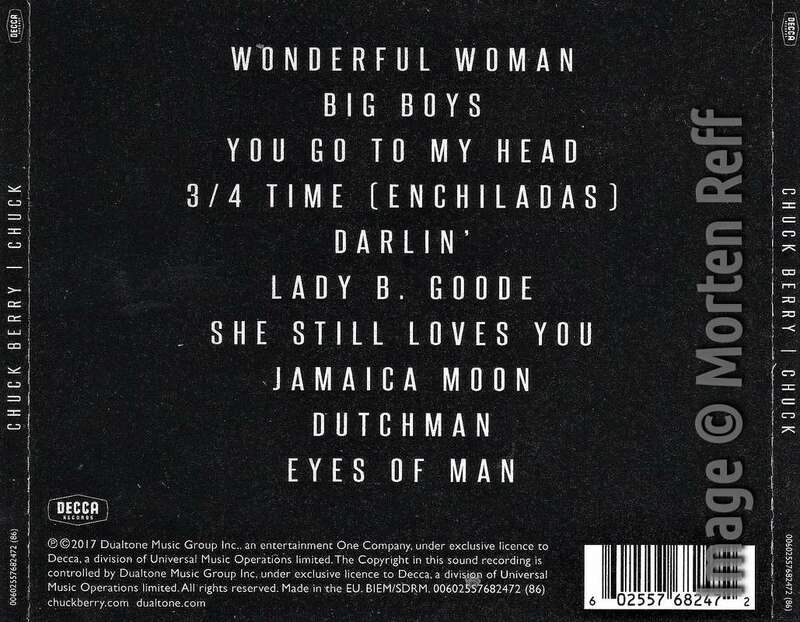 The printed cover has a track listing which follows the incorrect list on the US cover, i.e. Go Go Go after Rockin' On The Railroad. This fault was repaired using a yellow sticker which lists the correct track order. The initial Japanese records, probably those used as promo copies, came with a white Imperial label and a thin sticker through which you can see the original print. Later records then had a Globe label and an opaque sticker. In 1982 the On Stage album was re-issued in Germany as part of a 2 LP set along with Rockin’ At The Hops. This version has Surfing Steel but omits How High The Moon completely. 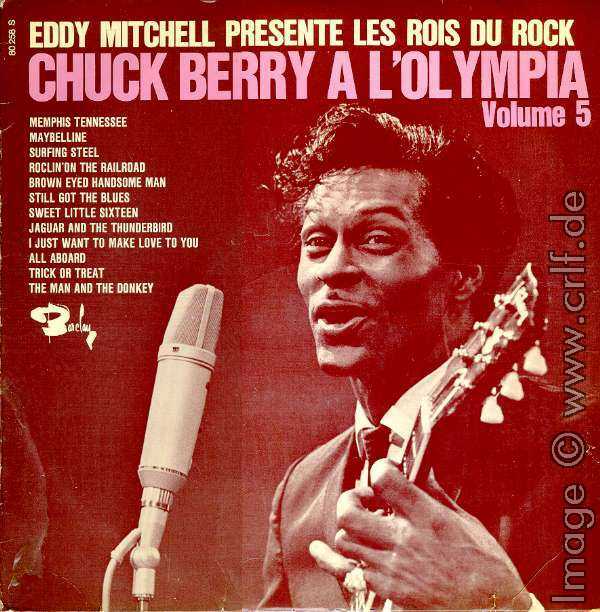 And finally there’s the most interesting French version, released on Barclay 80258 in March 1965 as Chuck Berry A L'Olympia. 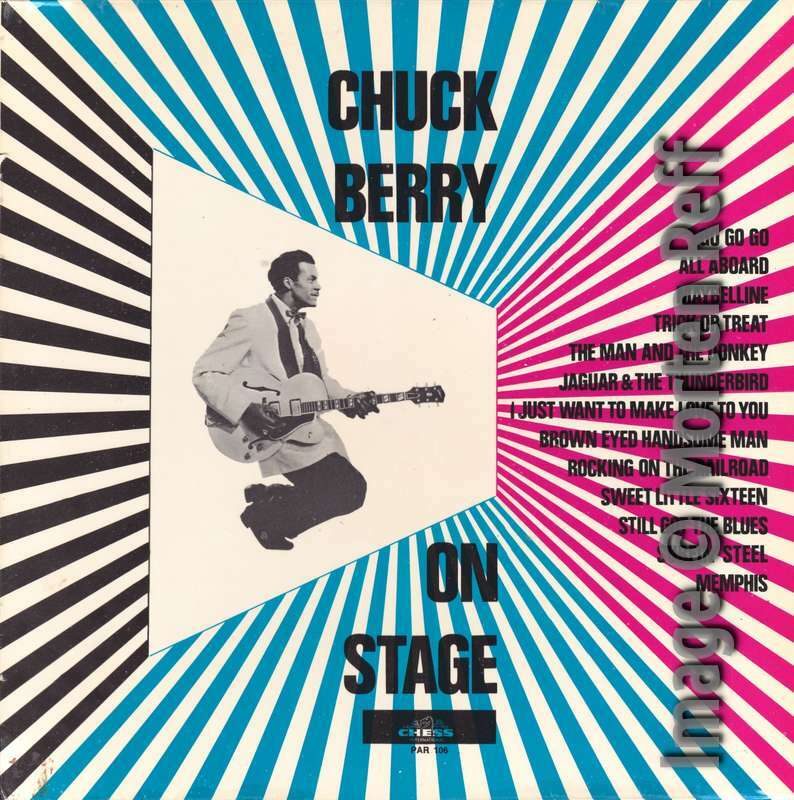 This variant of Chuck Berry On Stage contains the same recordings in the same sequence, though without the two songs having Rodney Jones overdubbed: Go Go Go and How High the Moon were cut off. Instead the French had their own announcer. Eddy Mitchell, a successful Rock’n’Roll singer by himself, is heard with a French language introduction to side 1 which then starts into Memphis, Tennessee. 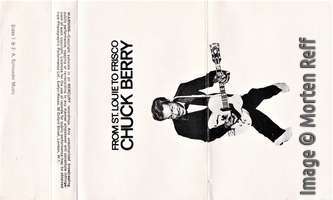 And Chuck Berry himself speaks the introduction to side 2. In addition a few shouts and stage banter from Berry is merged in between the songs on the tape. Berry refers to Paris and tries to speak French. 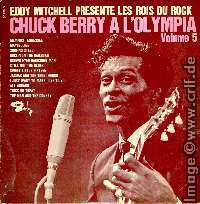 Both Eddy Mitchell’s introduction and Berry’s segments have been recorded at a Paris concert on February 7, 1965. 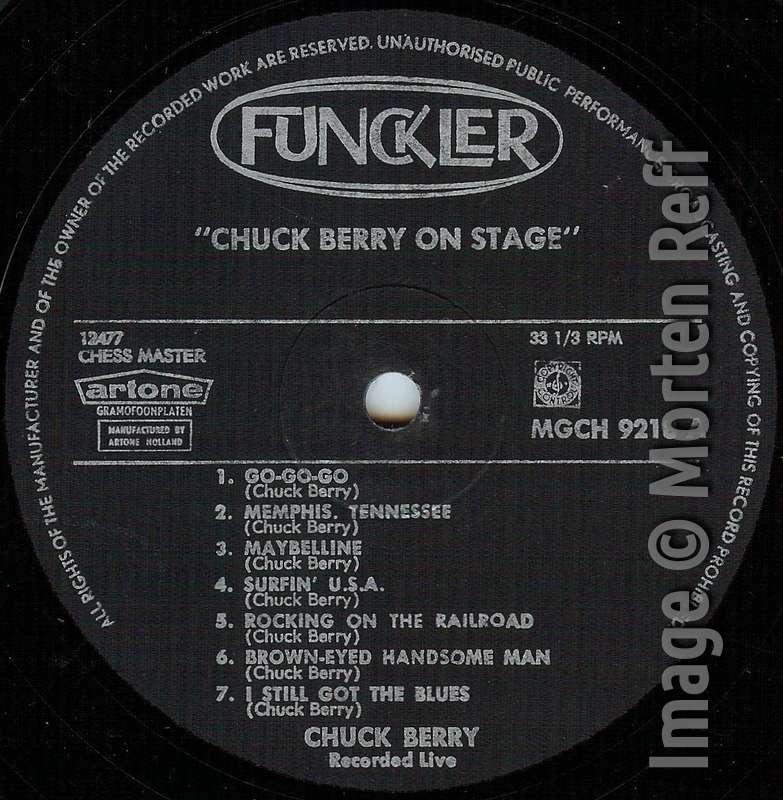 So this is Chuck Berry on stage, indeed. Just the songs are the same as on the US version having the fake audience. 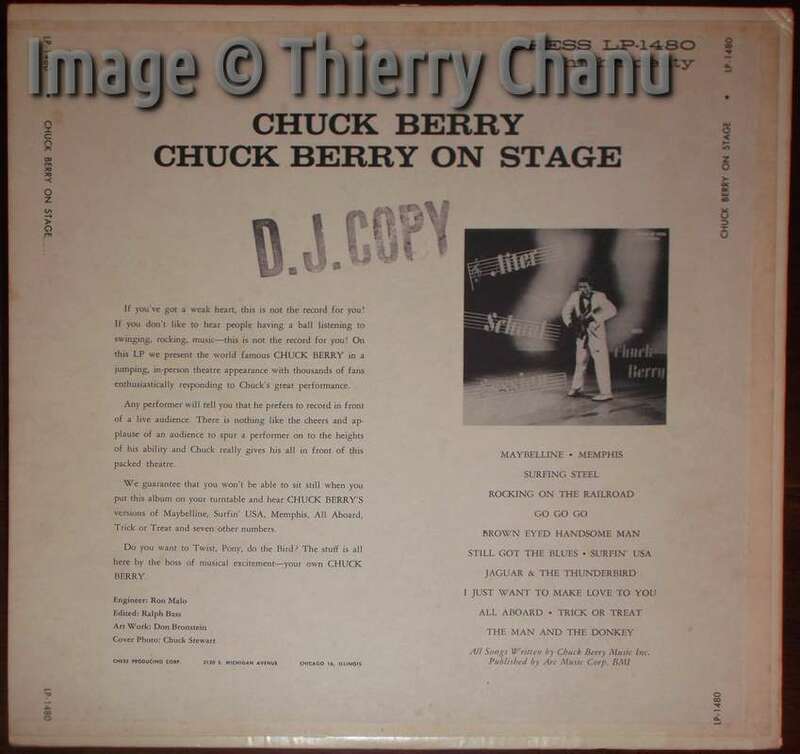 As always: Many thanks to Thierry Chanu and Morten Reff for providing images and a lot of additional information about the 'Chuck Berry On Stage' album. 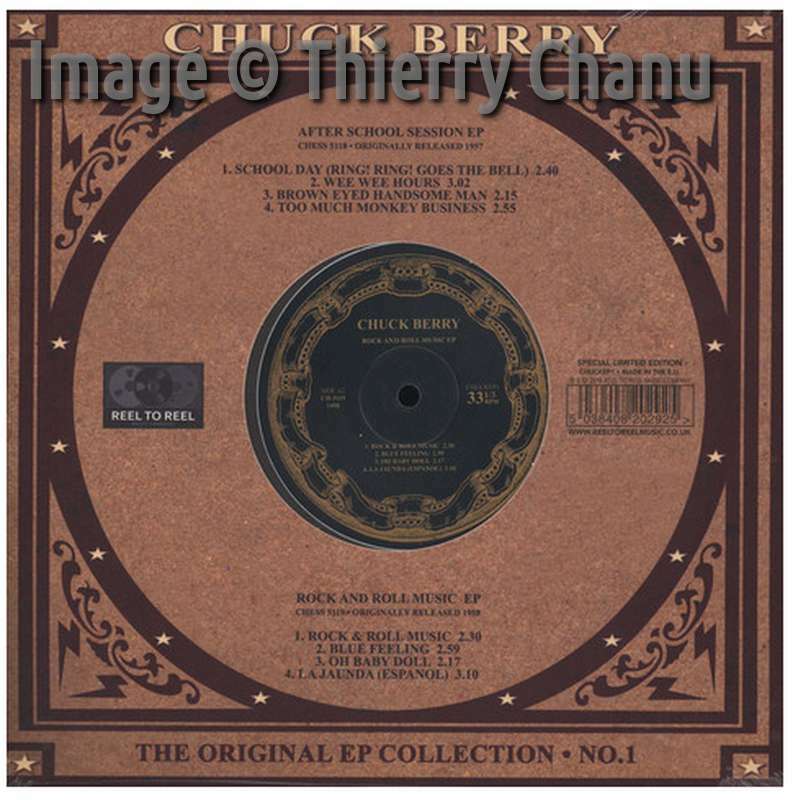 As you know, this site is about the music of Chuck Berry and how it was released to the public on records and CDs. Most newer CD releases do not get any mention here because they all contain the same stuff over and over in small variations. It does not make any sense for you to buy any of the re-re-re-releases or samplers. It doesn't make any sense for me either, which is why I do not buy those. We let you know if some re-release is of certain interest, though. A couple of weeks ago I received a 2017 release which you might want to know about. Again this contains two CDs containing songs you have heard a thousand times. It's just the old Chess records one more time. No need to even listen to those. But this release is a bit more. "Chuck Berry - Is It You?" (BDROCK BDR144) is a hardcover booklet twice the size of a CD. The two CDs include a total of 44 of his best Chess tracks up until Nadine. Nadine is also the main point of the book. A seventeen-page comic strip ("Bande Dessinée") shows Berry chasing Nadine following exactly the lyrics of the song. The French text in the drawings is a translation of the lyrics. The drawings were made by Jean-Claude Denis, a well-known comics artist whose publications range back to the late 1970s. Non-french readers should be aware that comics in France, Belgium and other French-speaking countries are considered a special art form. It's not just the funny Snoopy cartoons English-language readers will know. BDs cover serious topics and are usually read by adults, not kids. As such the Nadine story is drawn the way Berry sings it: seriously with a special kind of humor. Inserted in the story are five full-page drawing showing the ageing Berry in concerts, each drawn according to a typical photo we all know. The comic strip ends with a full page containing the English lyrics of the song. Next is a "biography", 11 pages in French followed by 11 pages in English. There's little biographical information but more a chronological description of the songs on the CD. It concentrates on the influence of the songs by listing lots of cover versions, especially the French ones. Finally there's a two-page "discography" which is just the track listing with personnel included. Unfortunately, that info is from very old sources such as the Red Box or the Golden Decade Vol. 2 and is mostly outdated. Please refer to this site's database for the correct recording information. While you won't care much about the CDs and the "biography", the comic strip and the drawings are quite interesting. Of all the re-releases, this one is special and nice to have. When looking for this item, check out multiple online shops to find the best price. Amazon Germany for instance demanded almost three times the amount to be paid at Amazon France - at the same shipping costs. Today: Cassette tapes contributed to a large part of worldwide sales of prerecorded music throughout the 1970s to 1990s. The first commercial MCs were produced by Phillips/Mercury in 1966. Most MCs were duplicates of LP albums, which is why collectors typically go for the original. This one here is an exception. Now here is a rarity. It’ s the first time we write about a certain cassette, since it was only issued like this in the UK. Why they chose to ignore an LP is anyone’s guess. 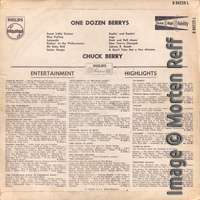 I have collected Berry records since the mid ‘60s and have never seen a copy. I actually wondered if what I heard back then was just a fabrication, since it never showed up anywhere. UNTIL 14 days ago (mid September 2018) it suddenly turned up on eBay in all its glory(?). I should have loved to see my face when I spotted it. I bid so high (bidnapper - £ 171,-) that absolutely no-one would beat me. I ended up paying £ 26,- + postage for a cassette which is really somethin’ else, all things considered. I have written the sequence of the songs as they are a little bit different than on the LP because of the length of the individual songs. As you can see the MC cover is just an extract from the original album cover. The stereo sound is the usual Mercury without depth. Anyway, my UK Berry collection is finally complete(?) except for a few promos. Not bad after over 50 years.